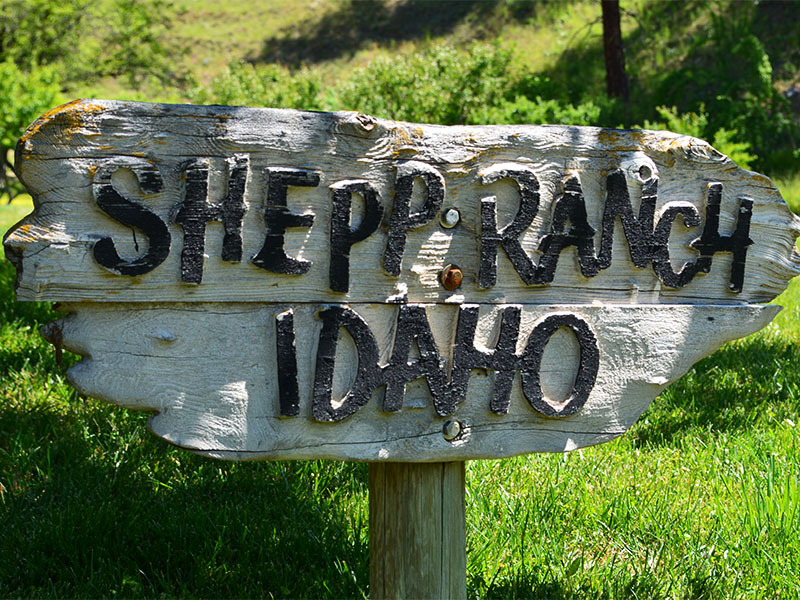 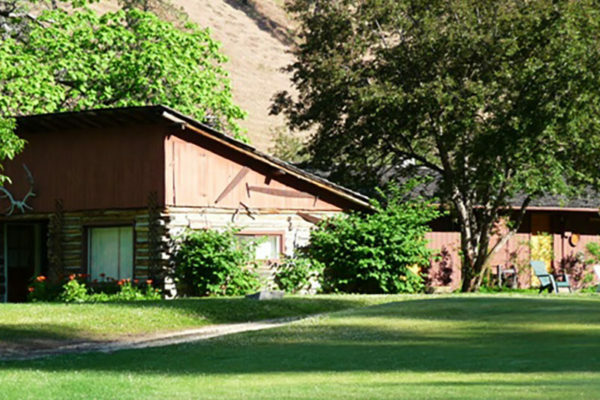 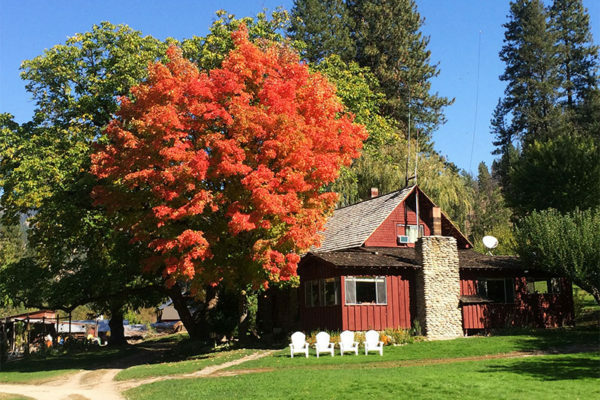 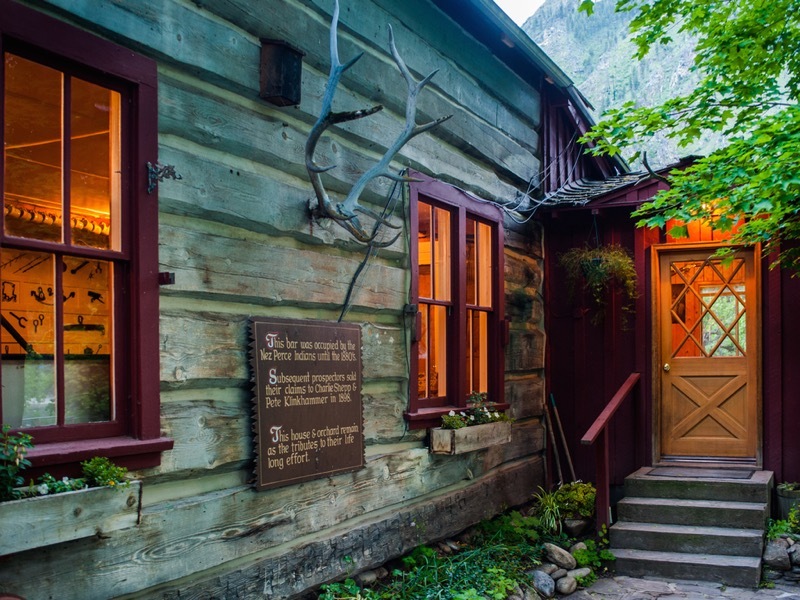 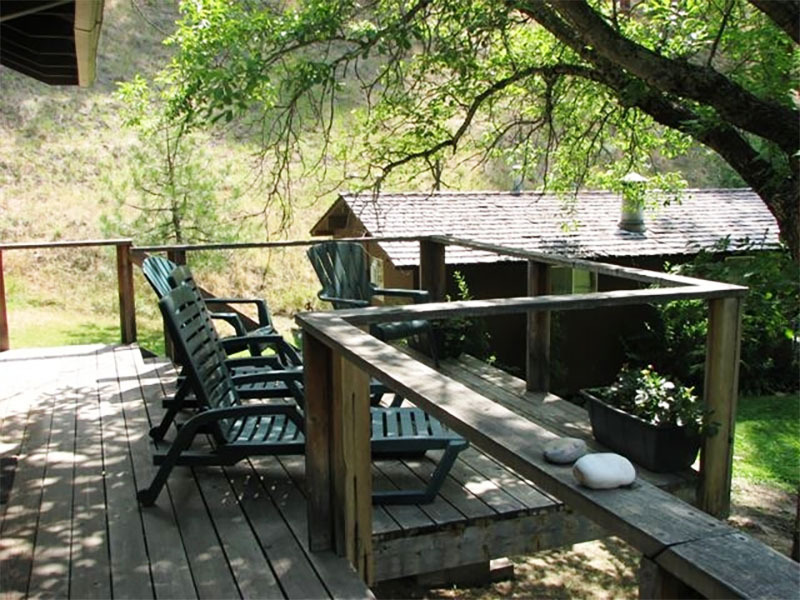 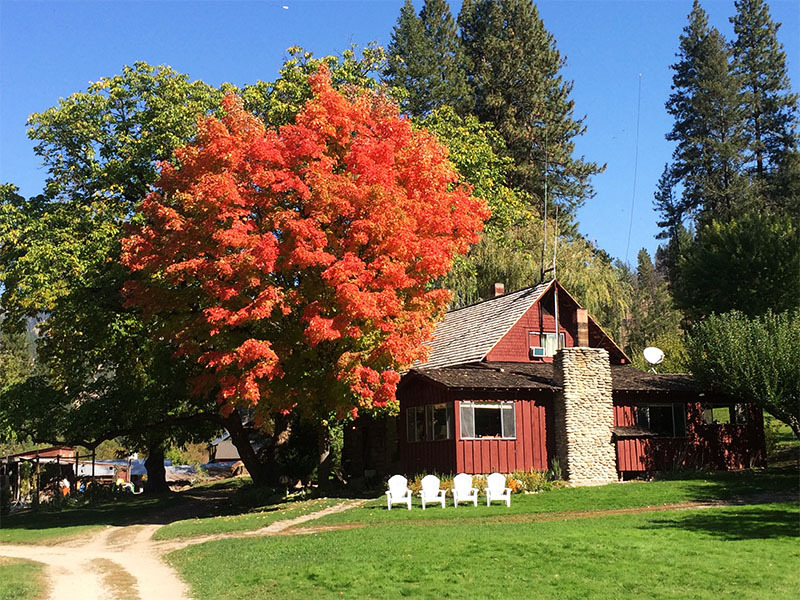 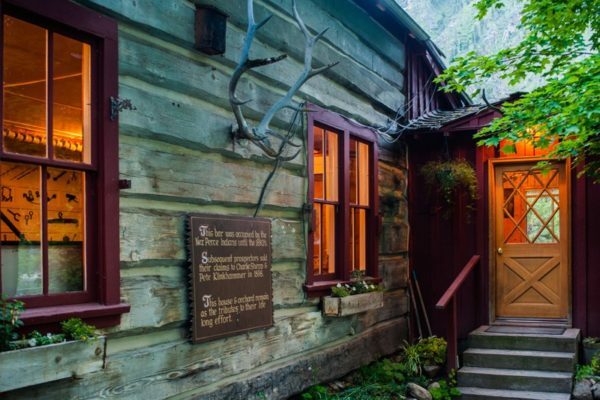 Shepp Ranch guest cabins and lodge. 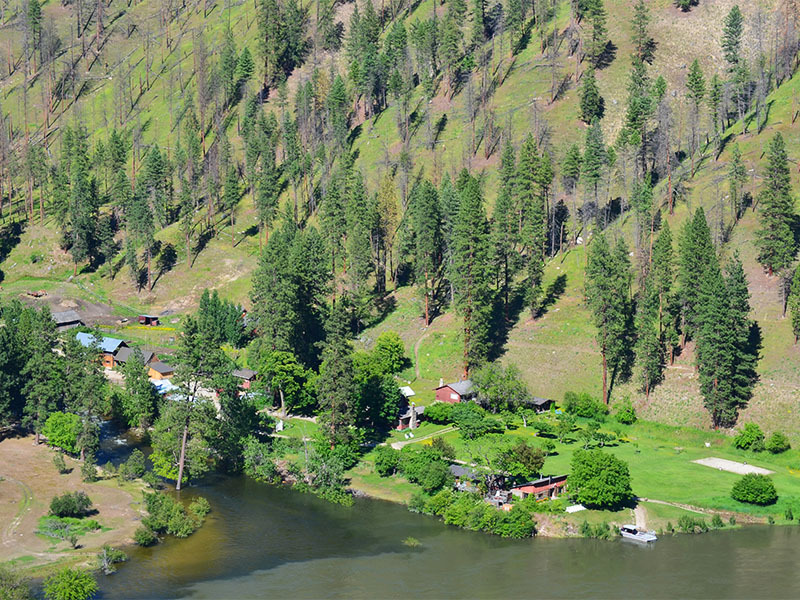 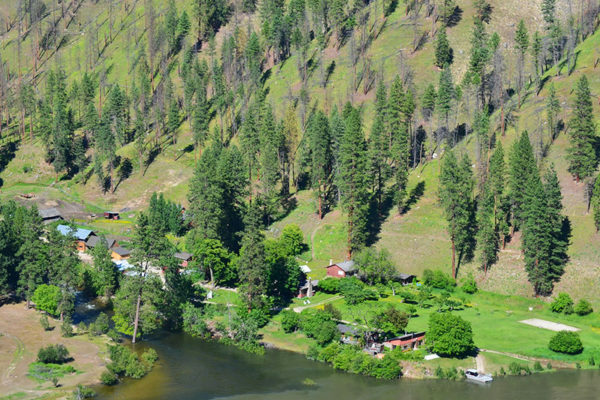 An aerial view of the Ranch on the banks of the Salmon River. 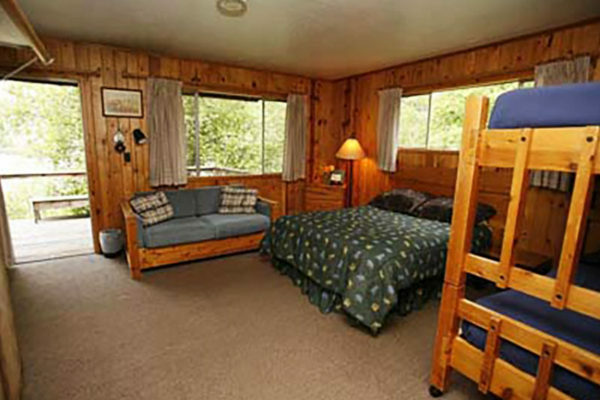 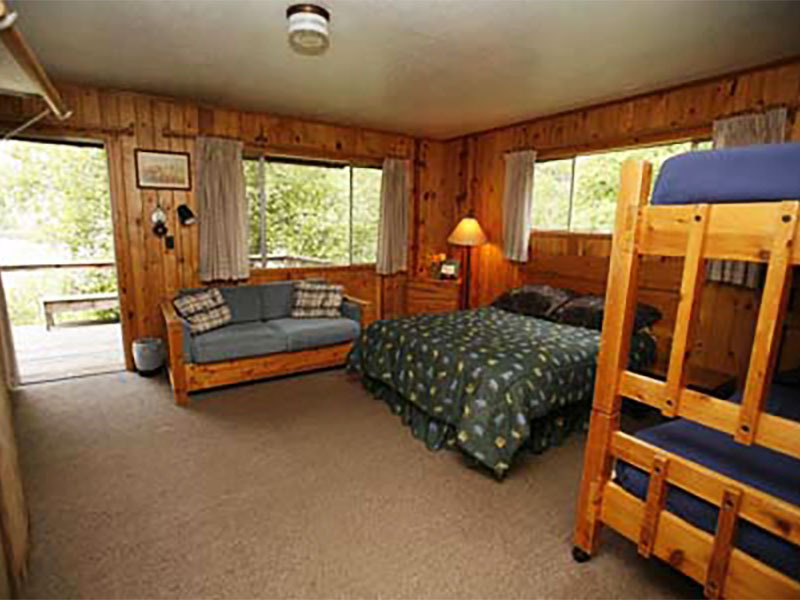 The duplex cabins at Shepp Ranch. 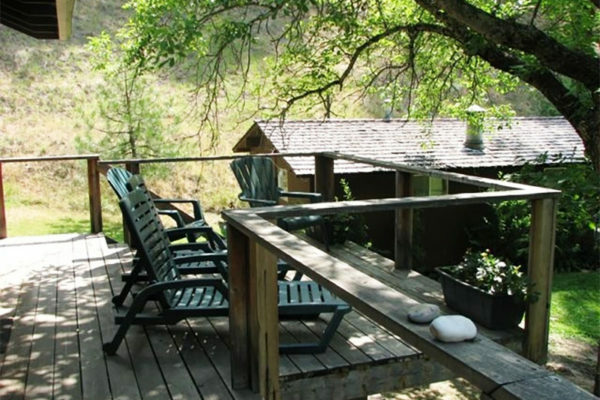 Cool shade on the deck of Filer Cabin. 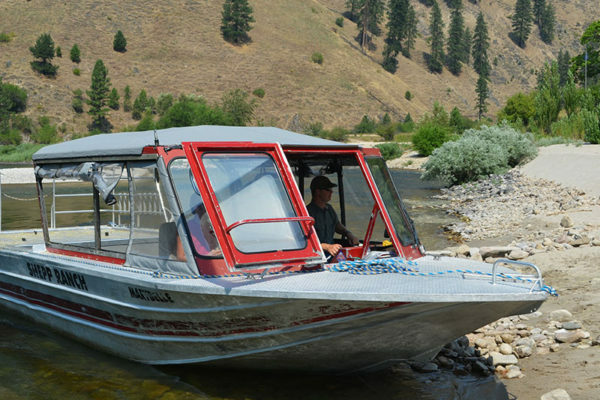 Owner Tim Turnbull pilots the Marybelle, one of Shepp's two jetboats. 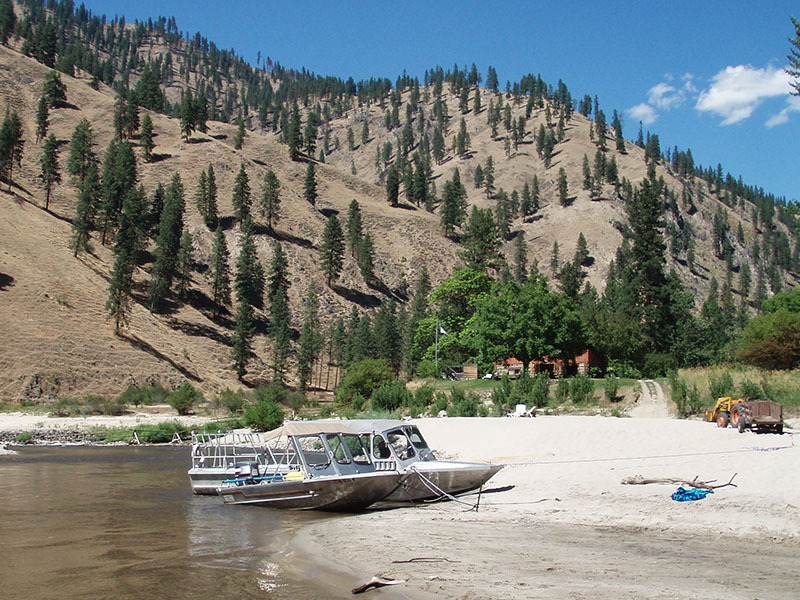 Jetboats on the beach at Shepp Ranch. 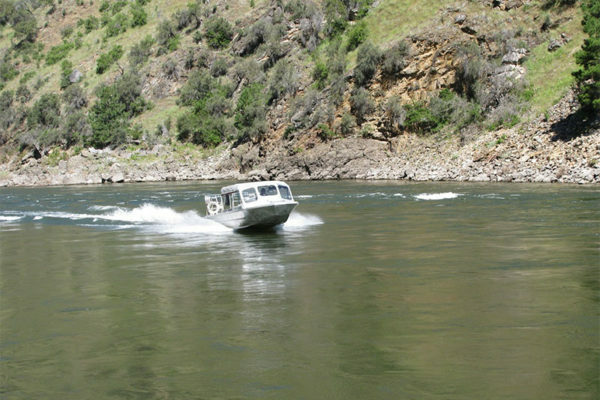 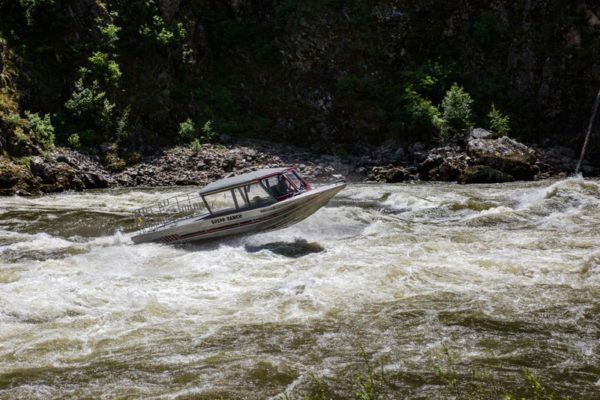 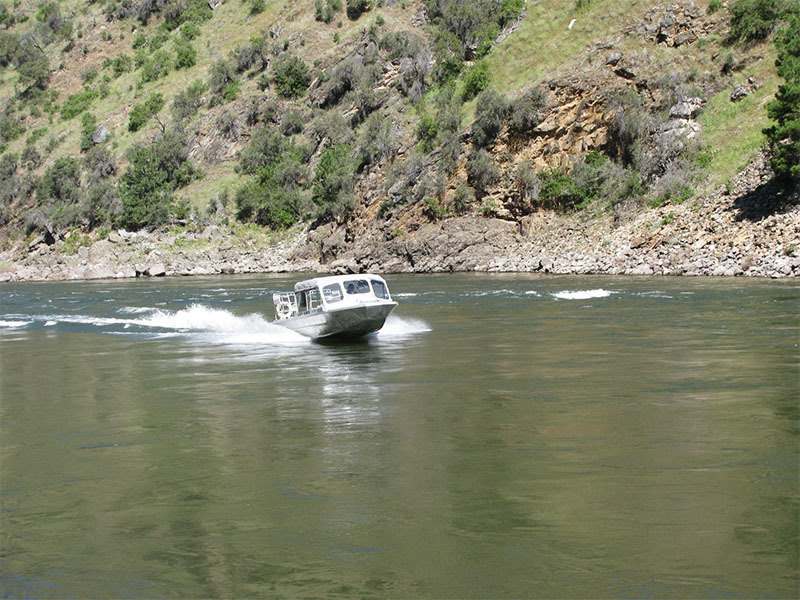 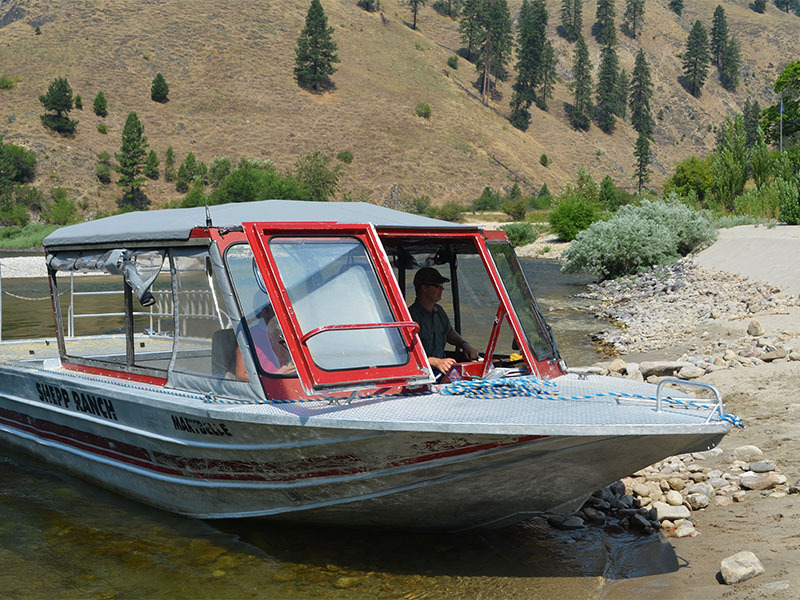 A jetboat makes its way up the Salmon River. 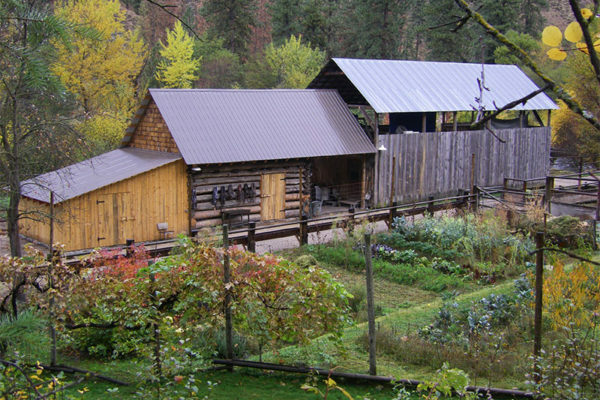 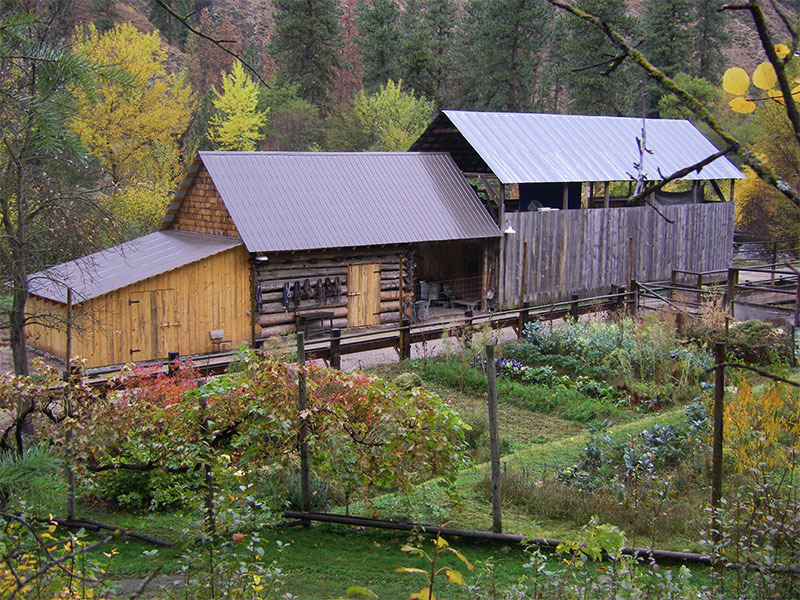 The barn at Shepp Ranch was originally constructed in 1900, but was restored in 2010. 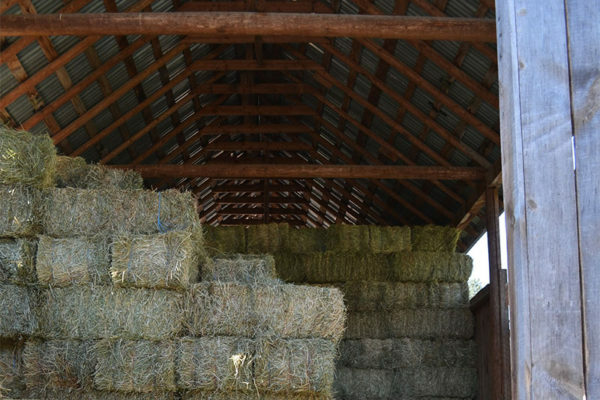 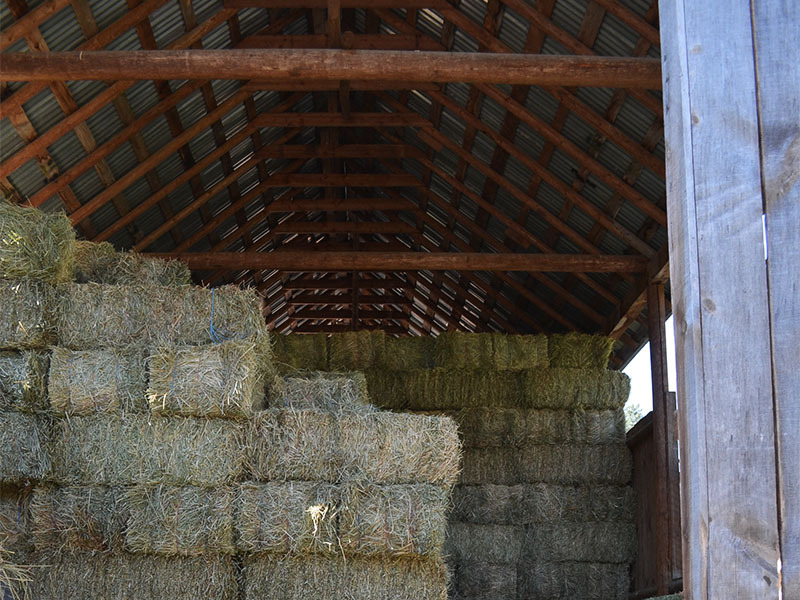 Hay stored in the barn. 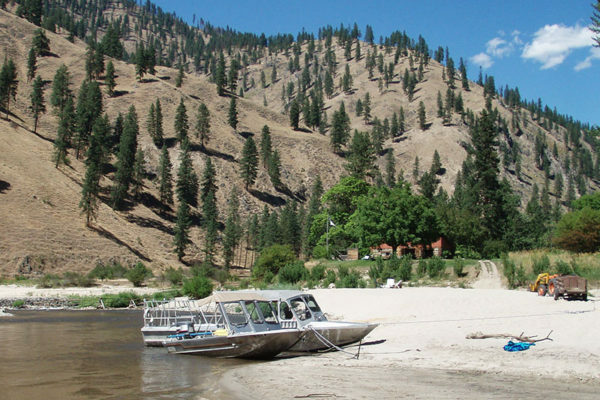 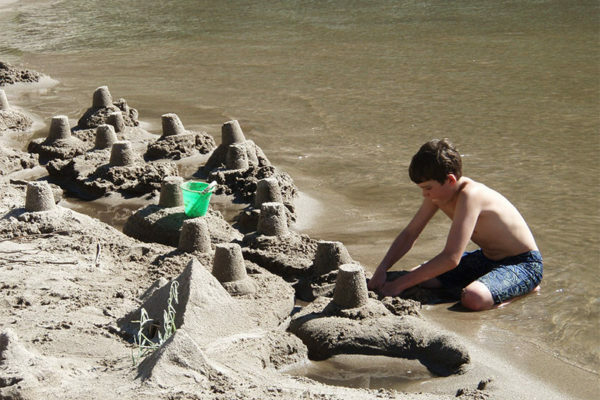 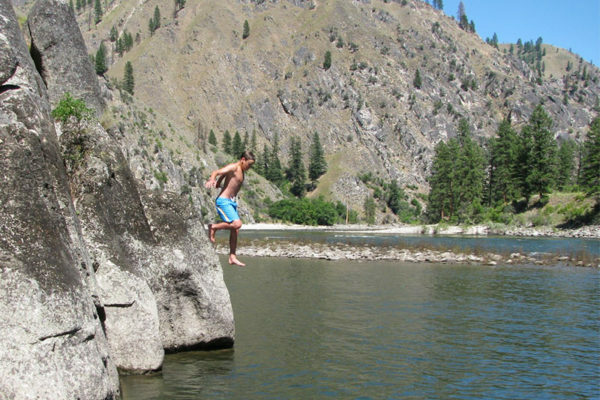 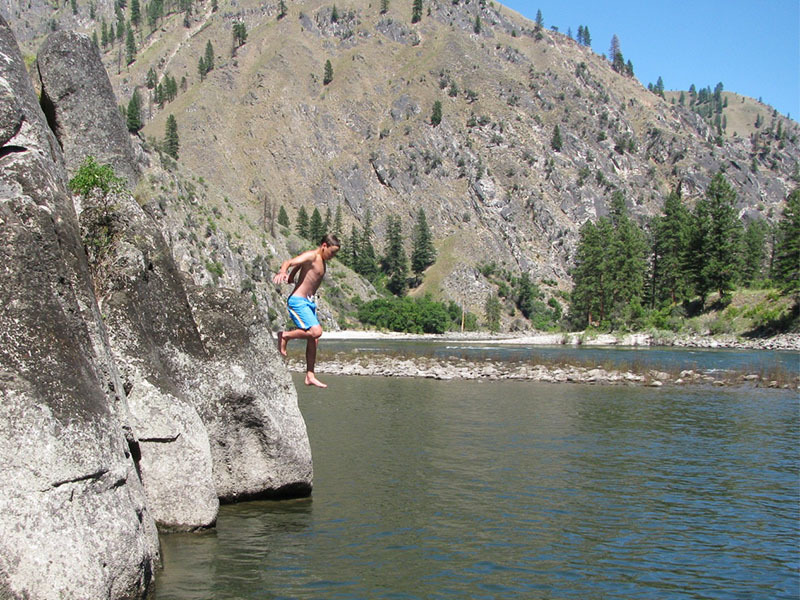 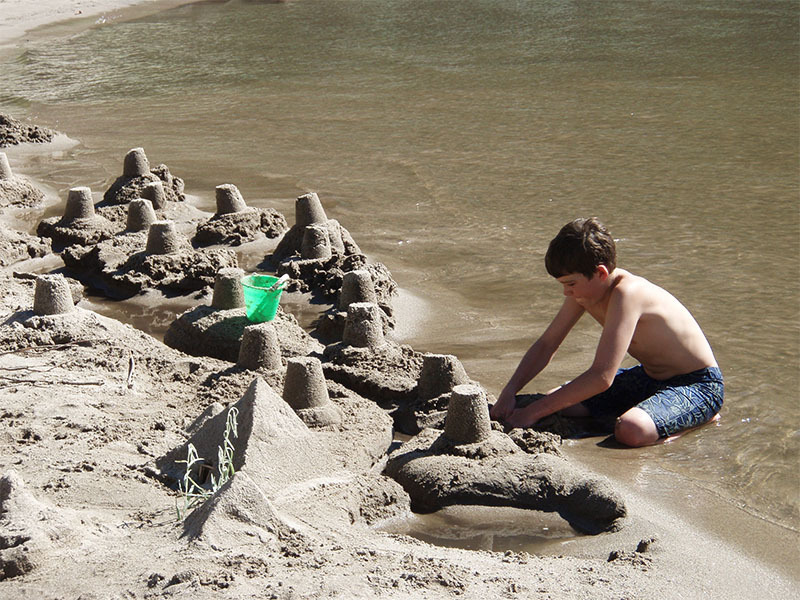 The beach of the Salmon River makes an excellent playground in the summer. 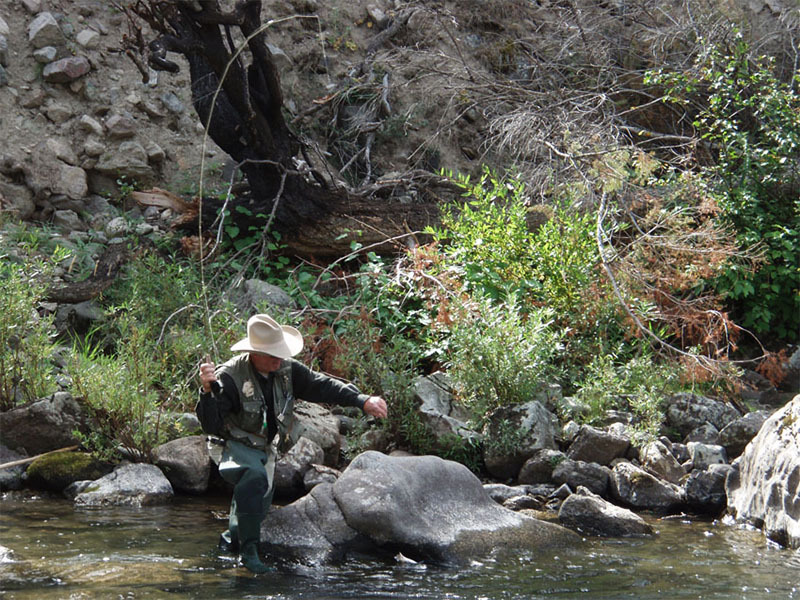 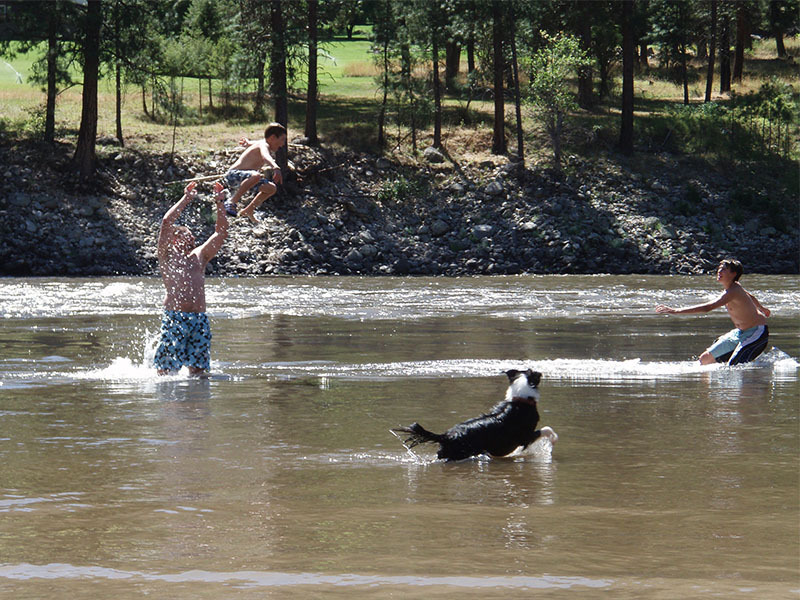 Playing in the river is a family favorite during the warm summer days at Shepp Ranch. 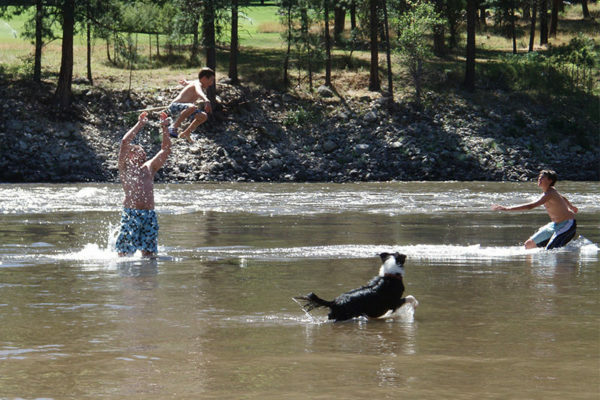 Summer fun at the swimming hole. 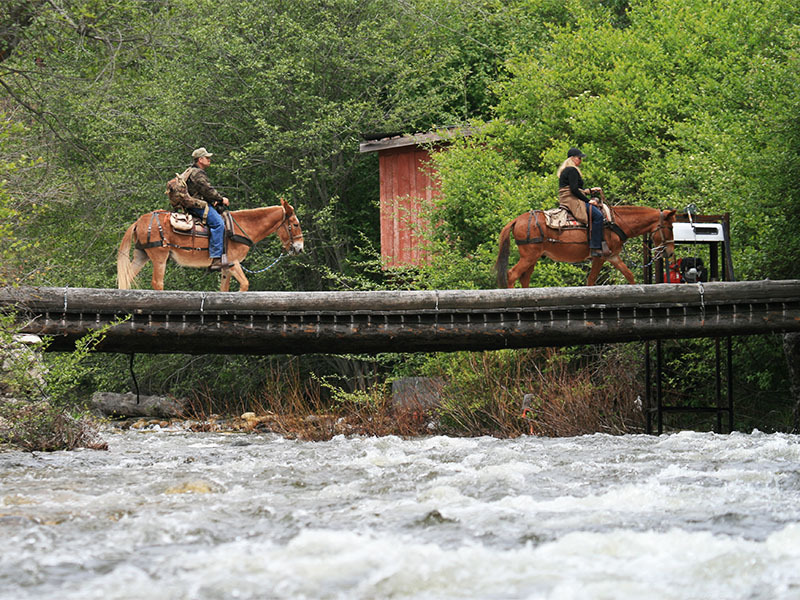 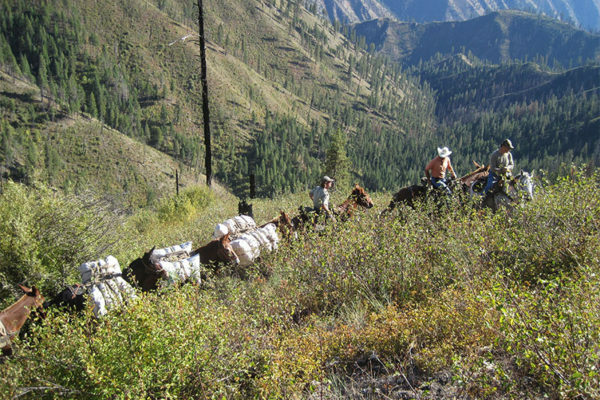 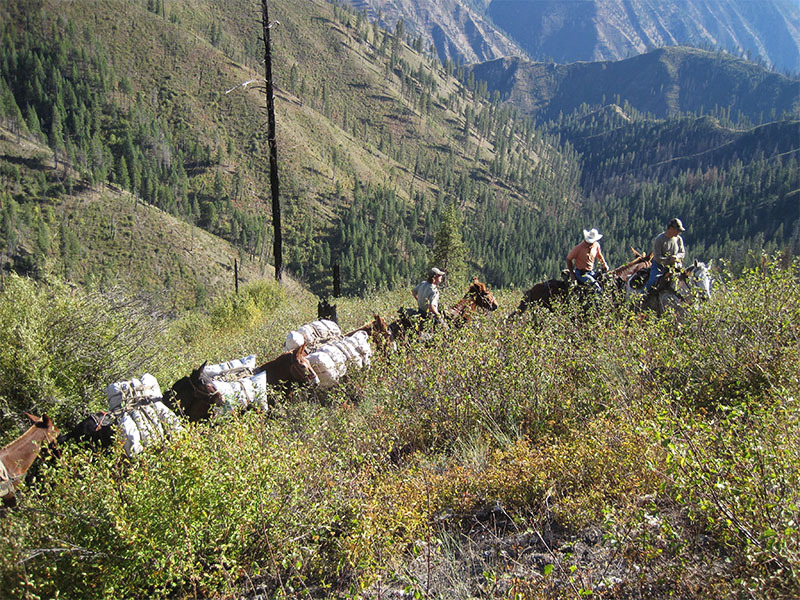 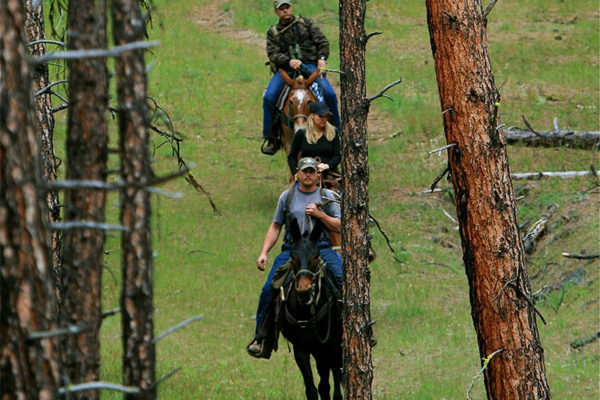 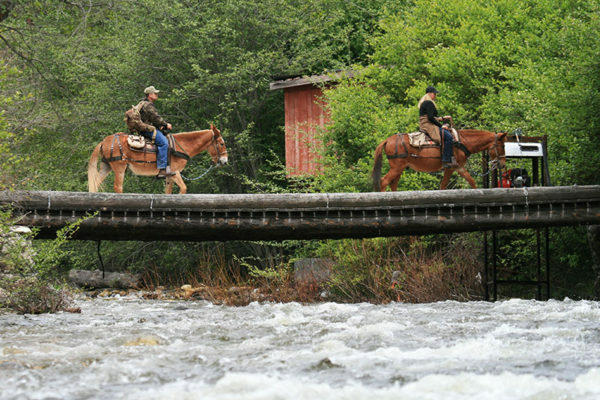 Riders on horseback cross Crooked Creek. 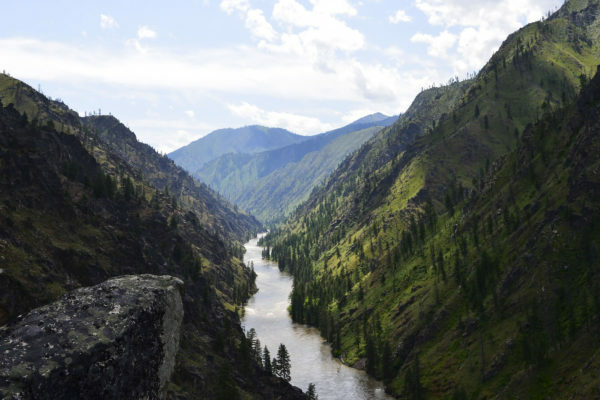 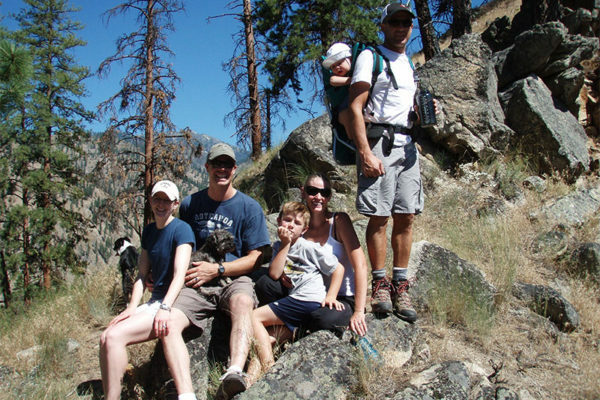 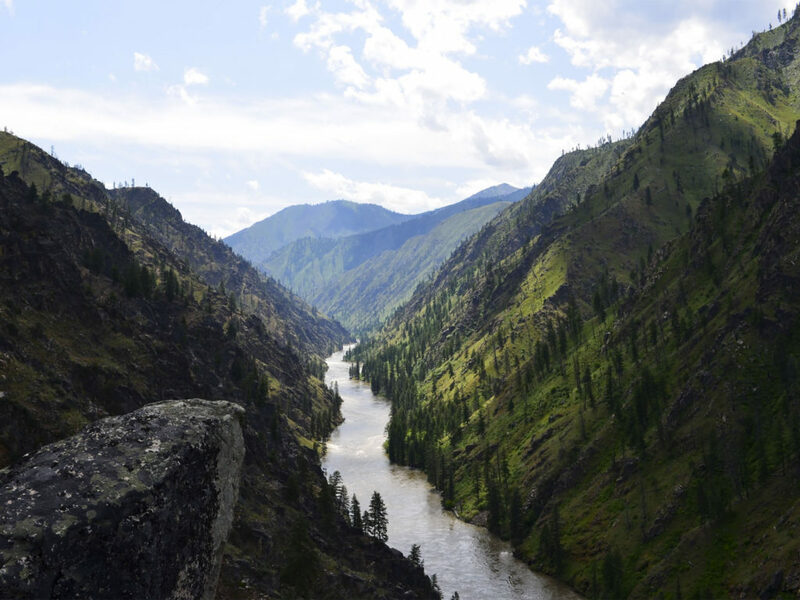 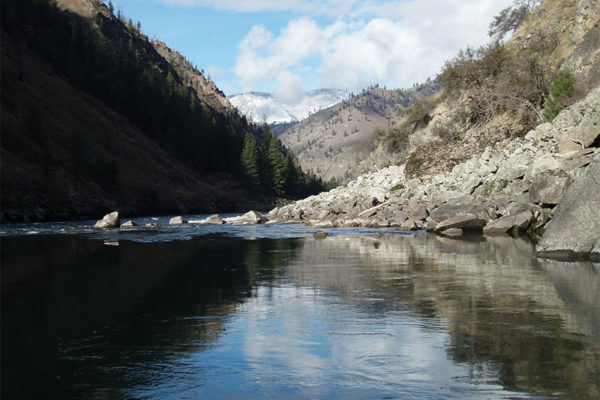 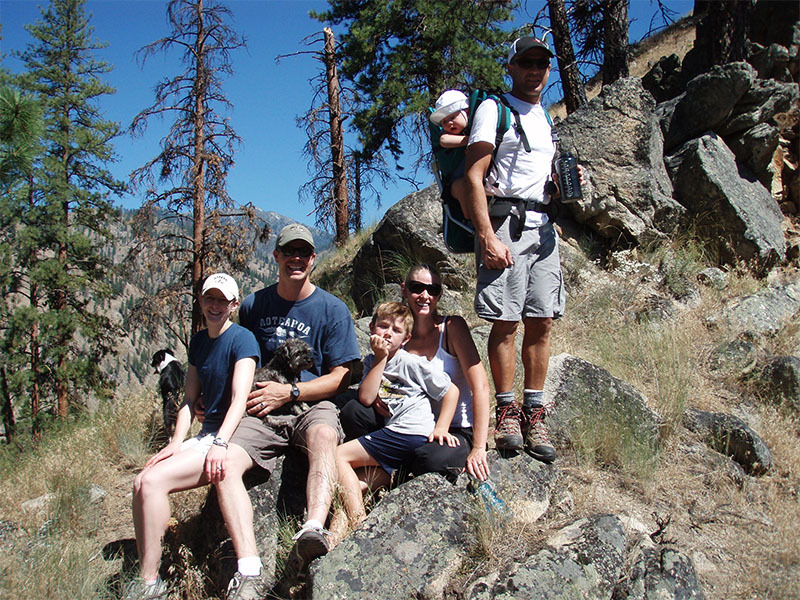 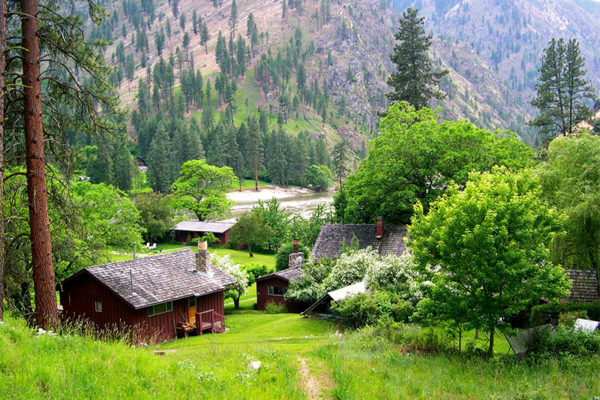 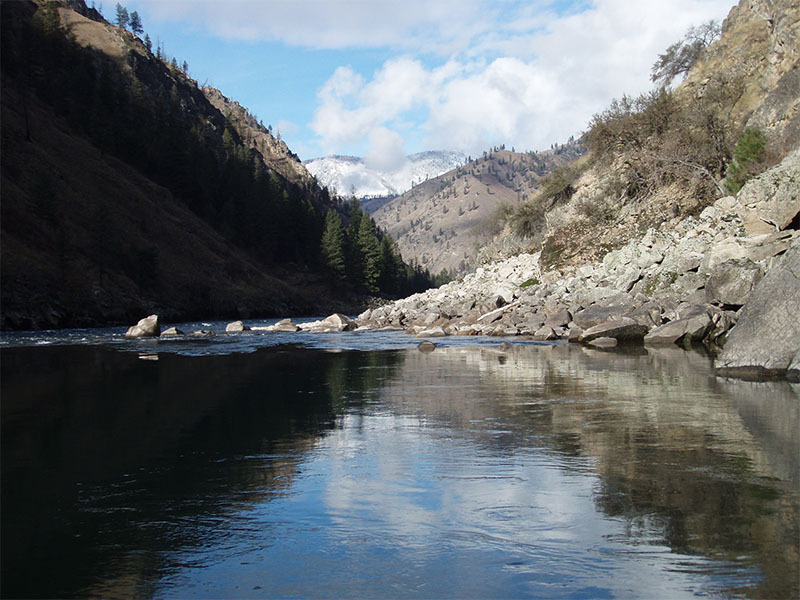 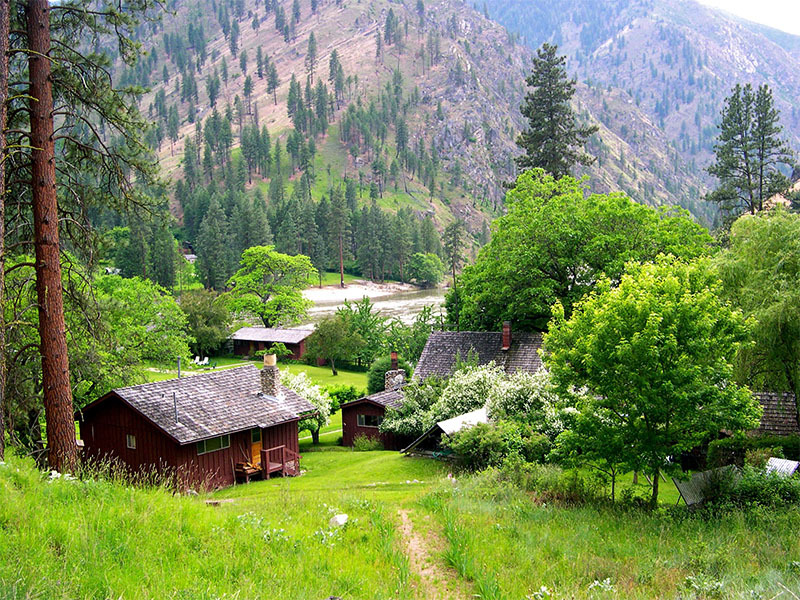 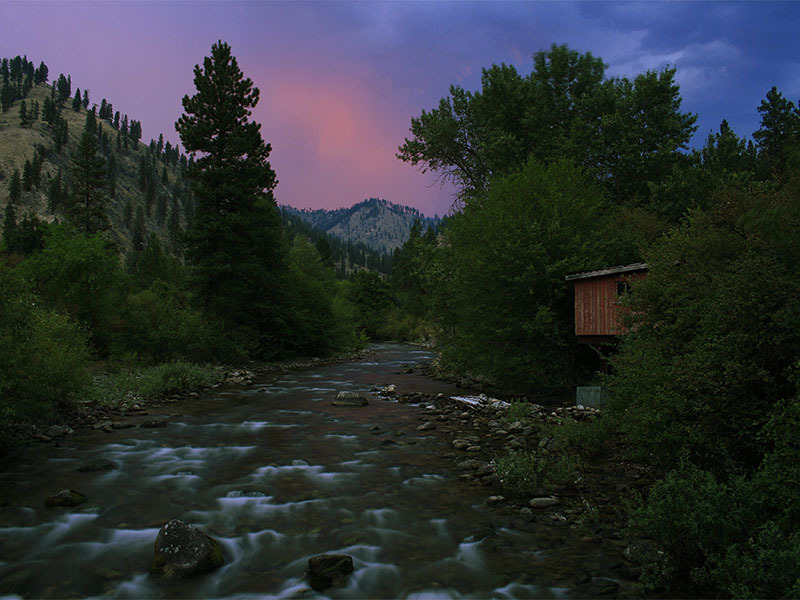 Salmon River lookout — a twenty minute hike from Shepp's cabins. 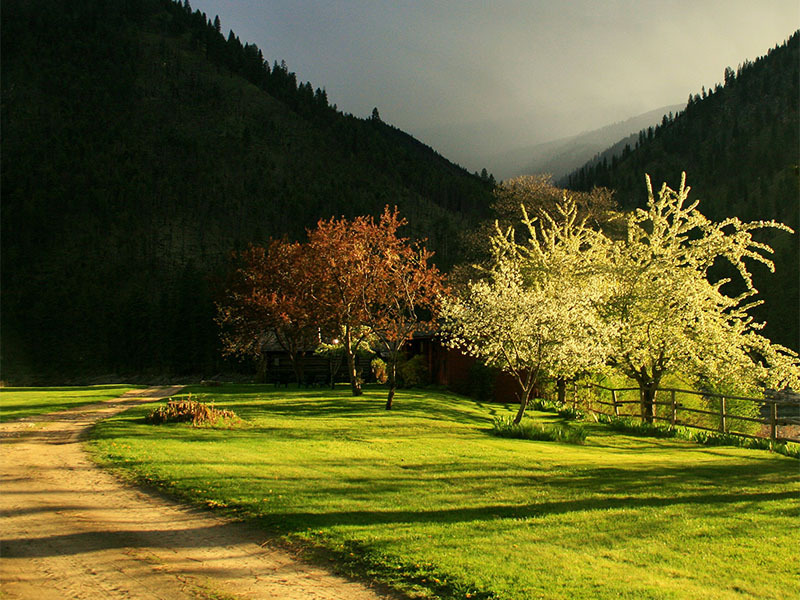 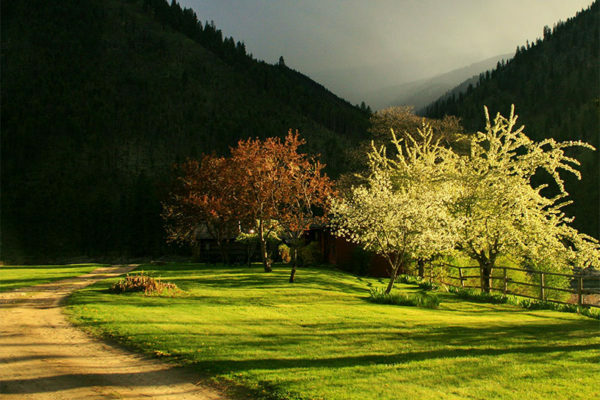 A rainstorm and the setting sun combine to make for some beautiful light at Shepp Ranch. 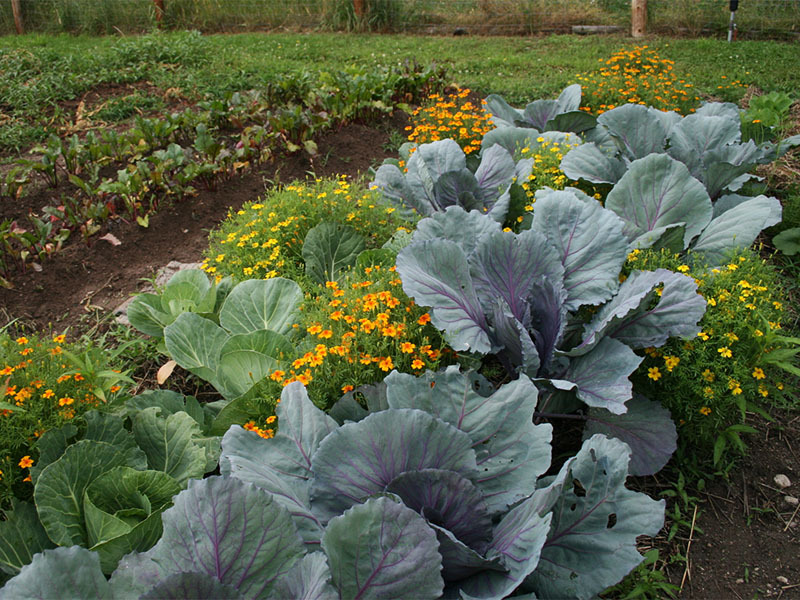 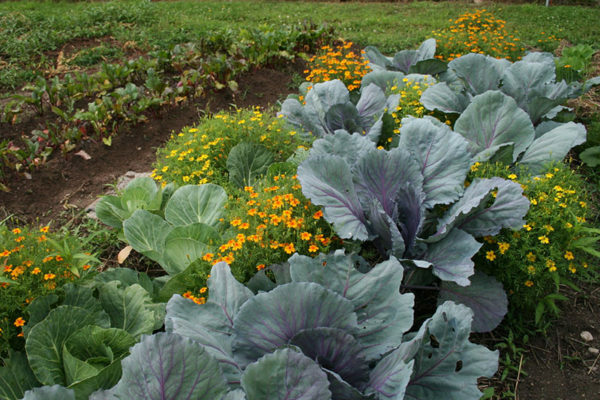 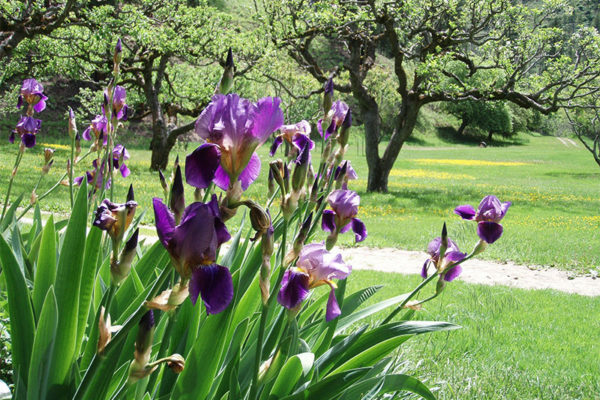 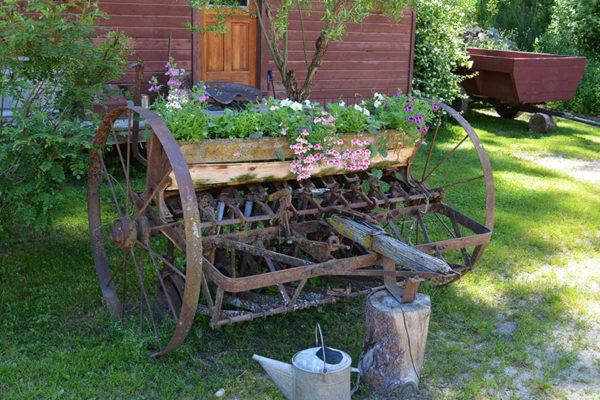 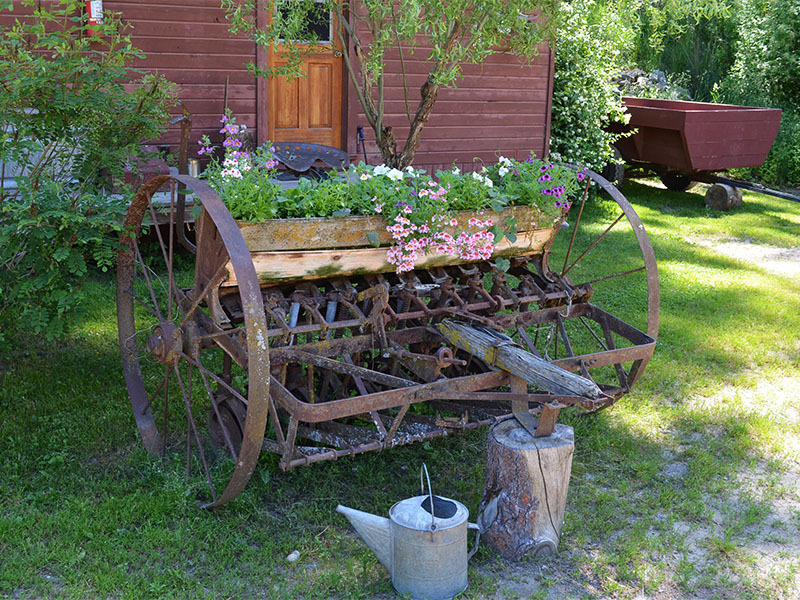 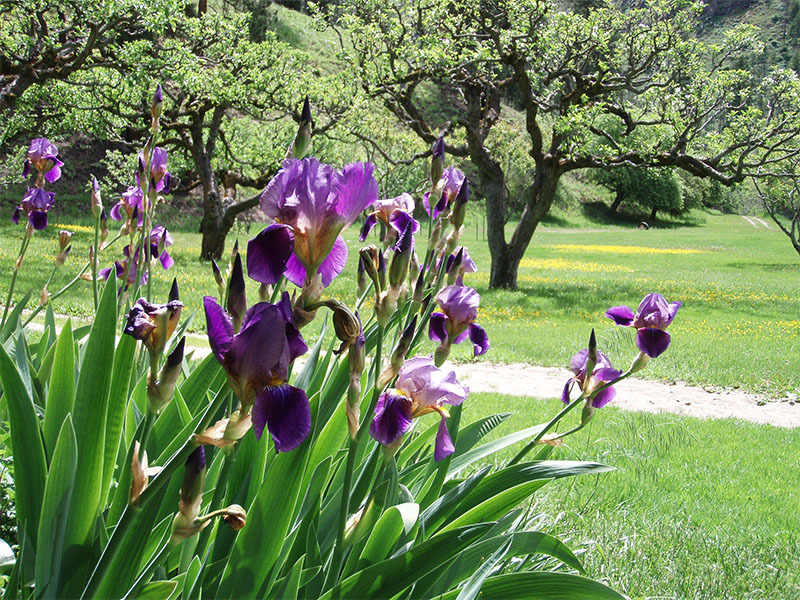 Vegetables and flowers in the Shepp garden. 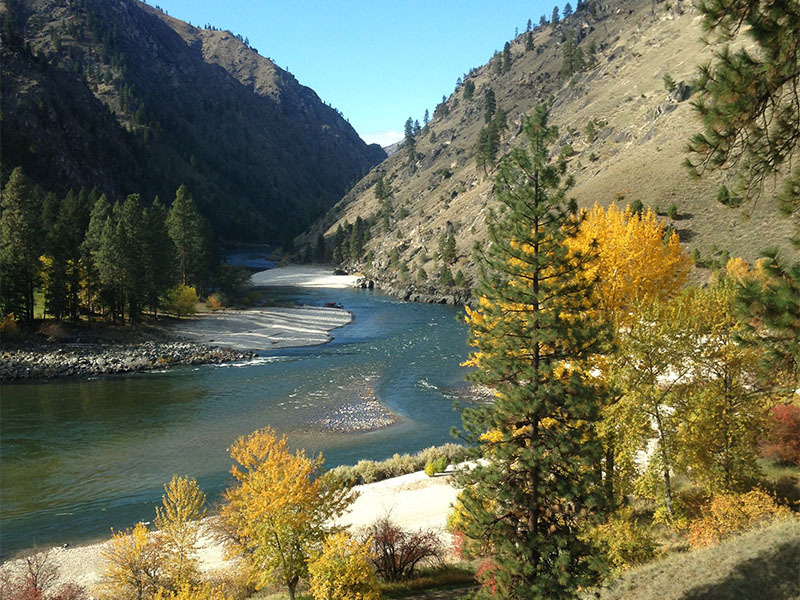 Autumn on the banks of the Salmon River. 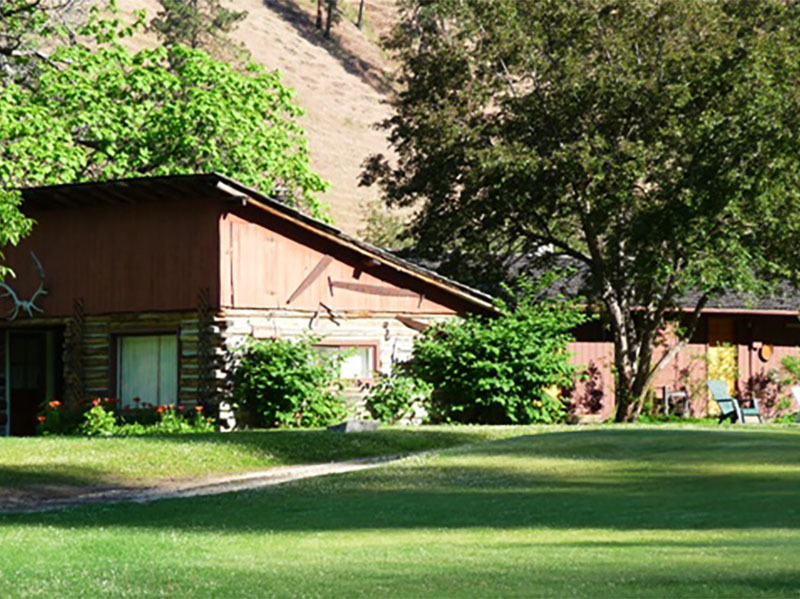 Shepp Ranch lodge at dusk. 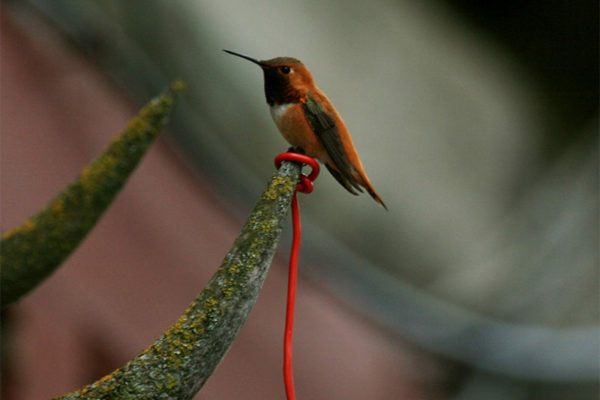 A hummingbird pauses on a set of weathered antlers at the lodge. 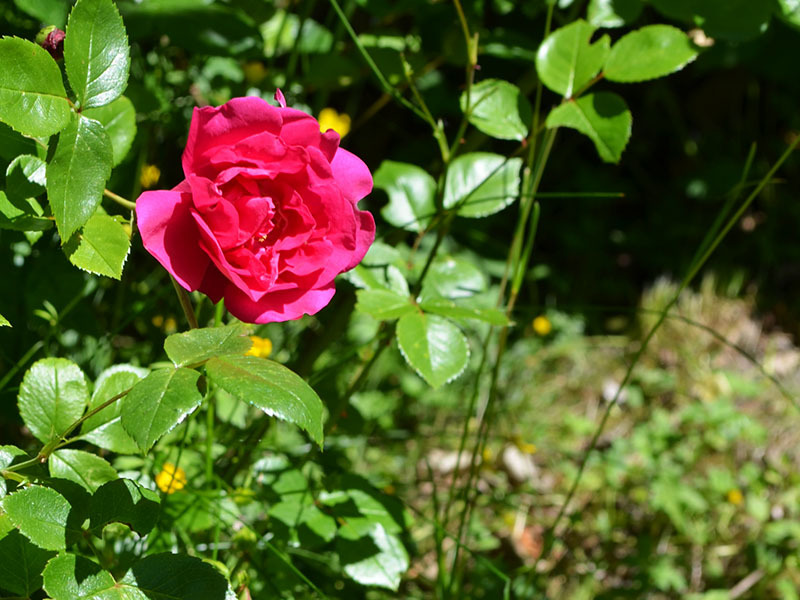 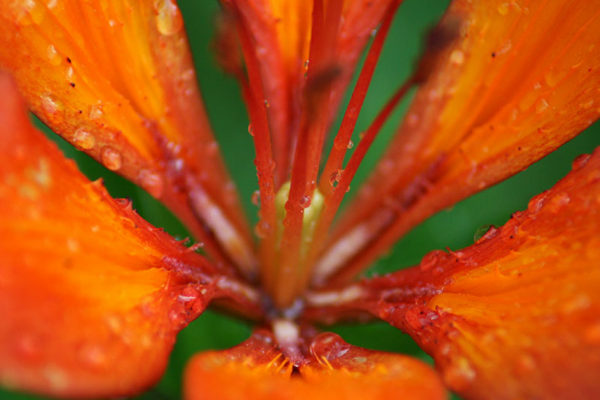 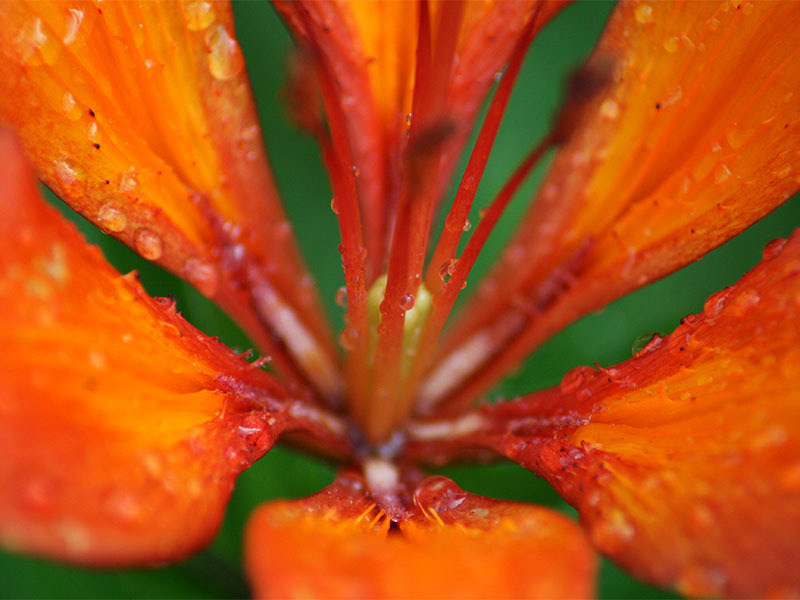 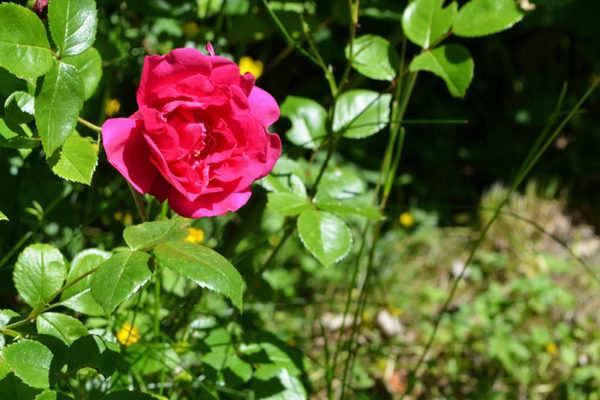 Dew drops collect on a blossom. 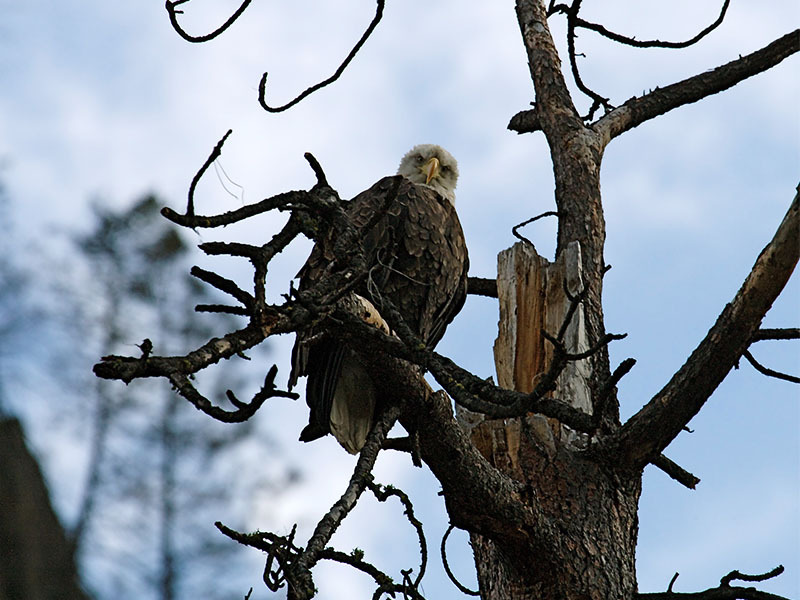 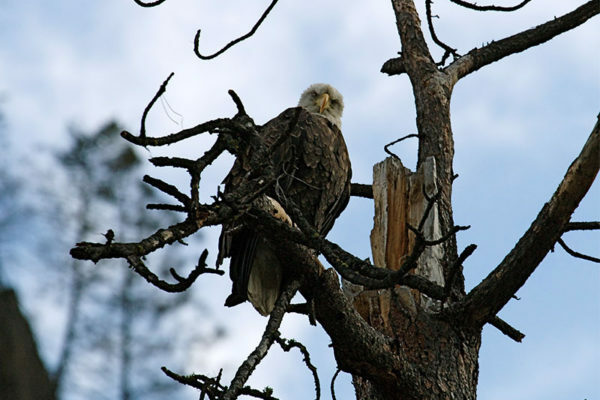 A bald eagle looks down from its perch. 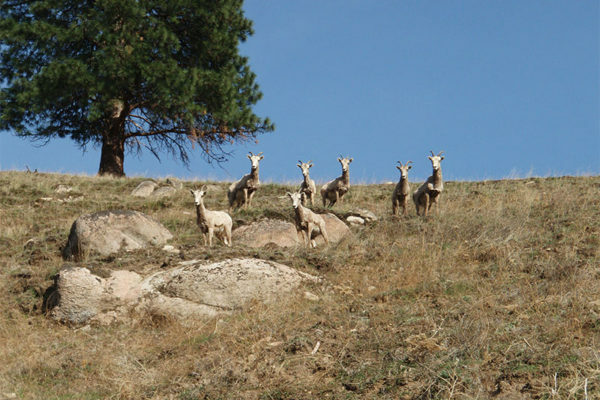 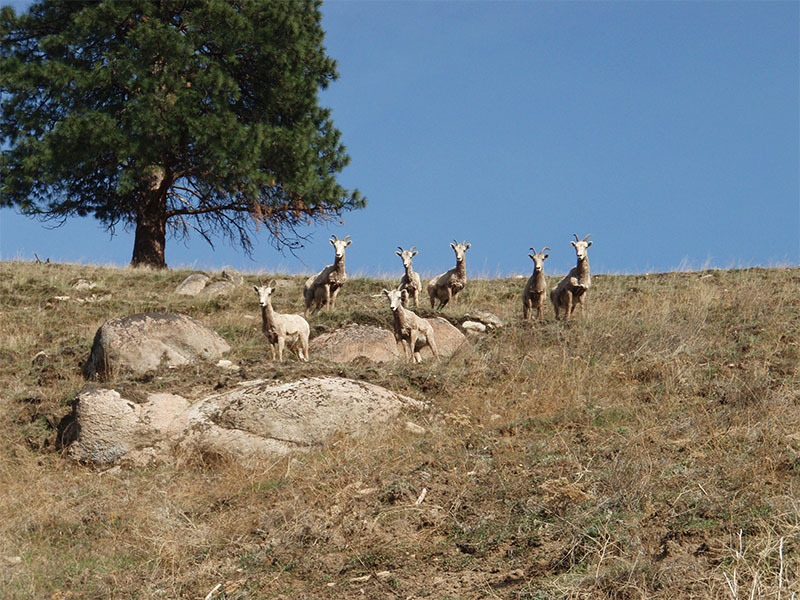 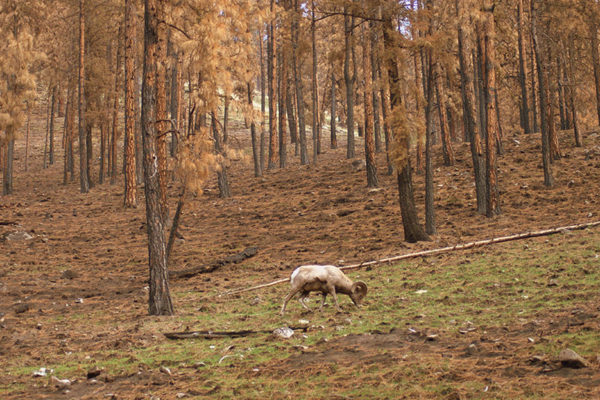 Bighorn sheep on a steep hillside above the Ranch. 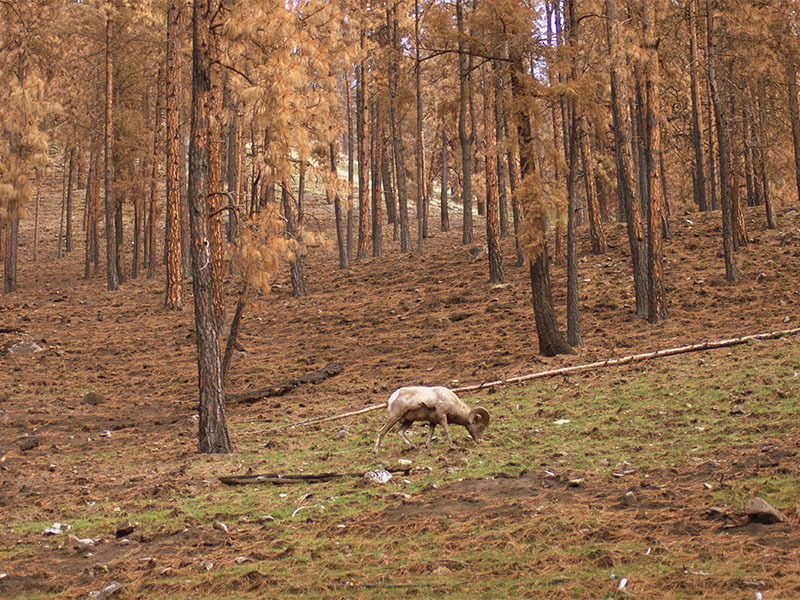 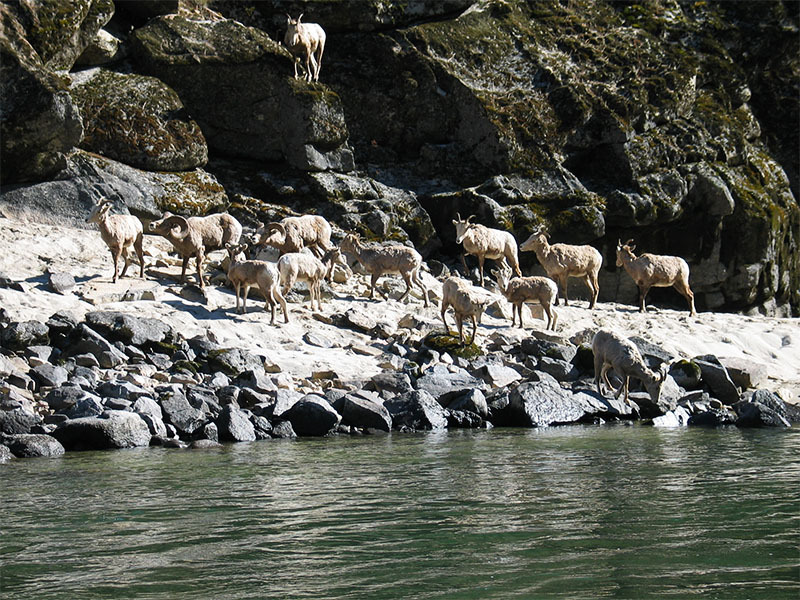 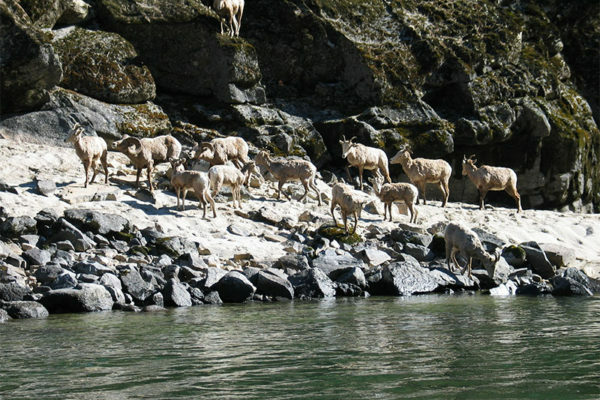 Bighorn sheep on the banks of the Salmon River. 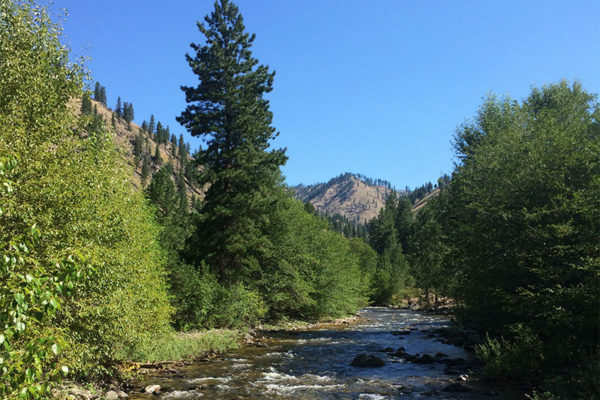 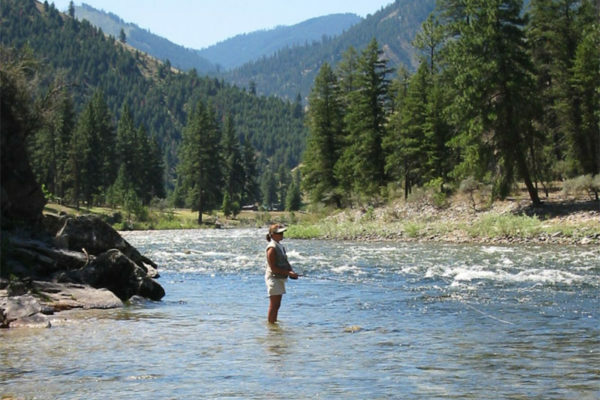 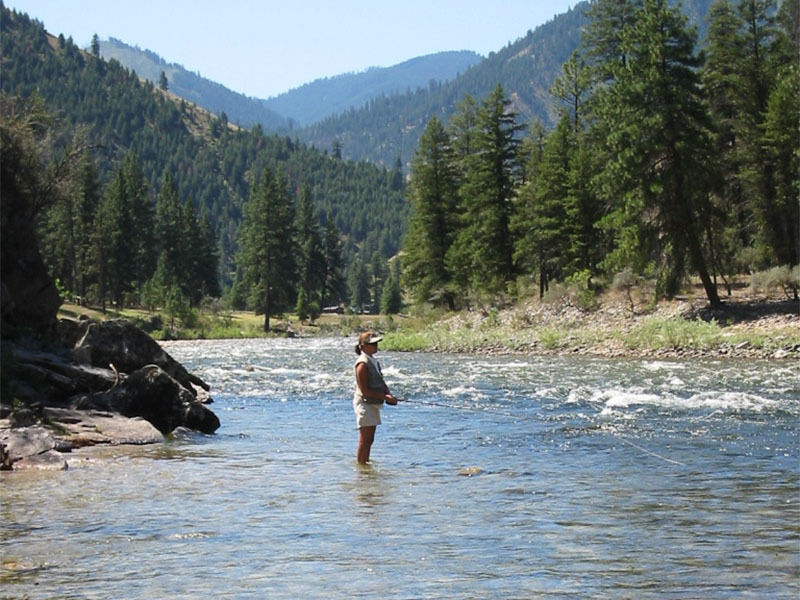 Fly fishing in the remote Idaho wilderness. 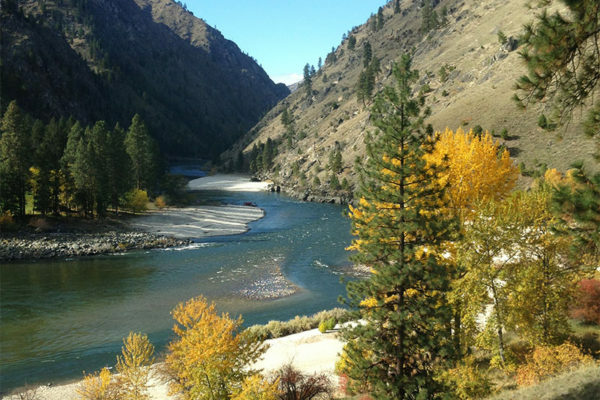 Late fall on the Salmon River. 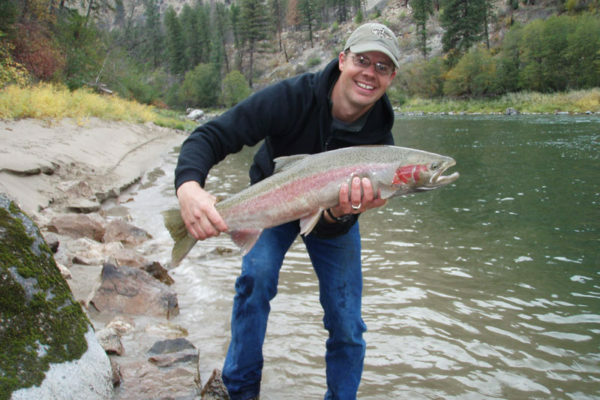 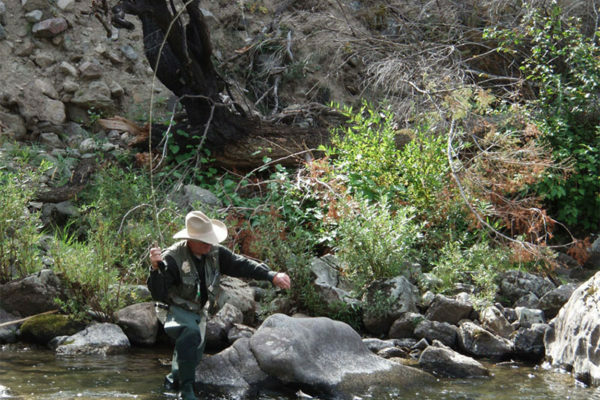 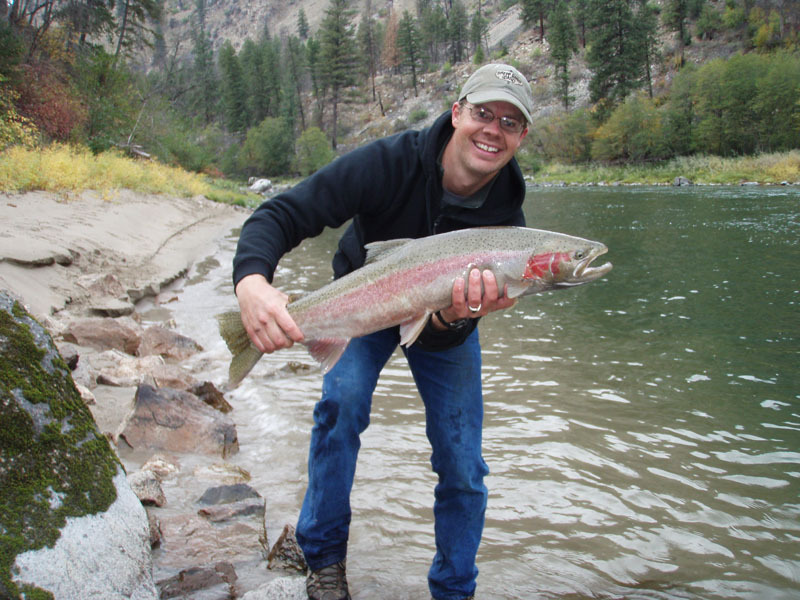 A nice steelhead at Shepp Ranch. 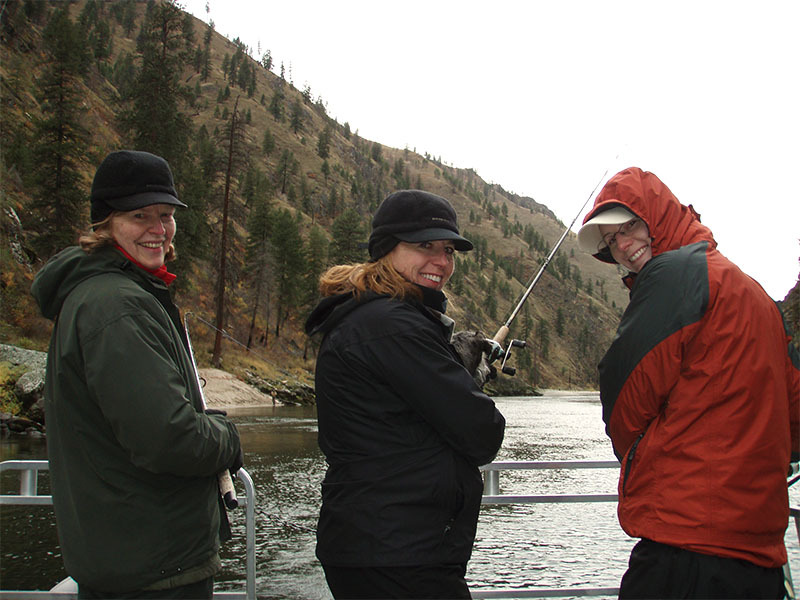 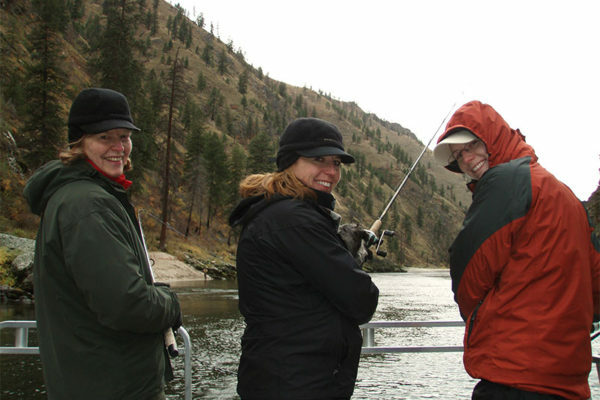 Owner Madeleine Turnbull with her mom and mother-in-law staying warm and enjoying a day of fishing on the Salmon River. 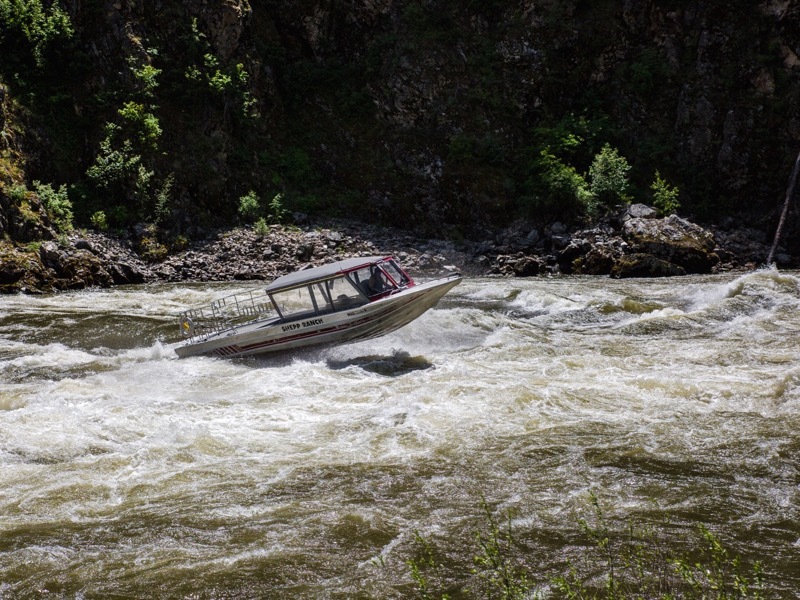 Jetboating on the Salmon River. 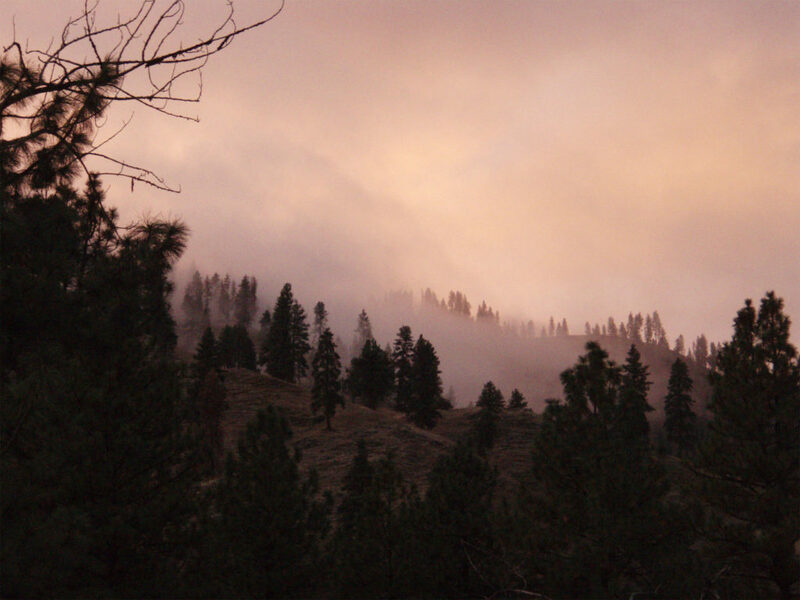 Evening light in the canyon. 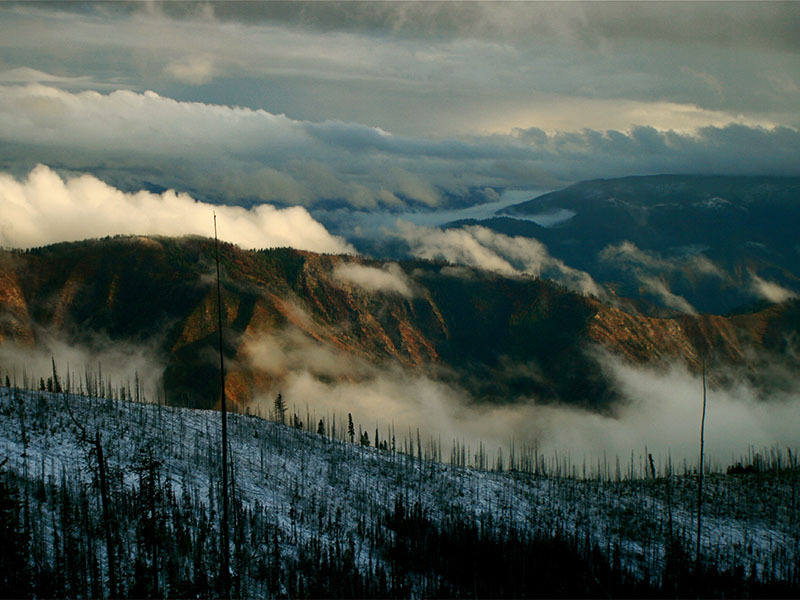 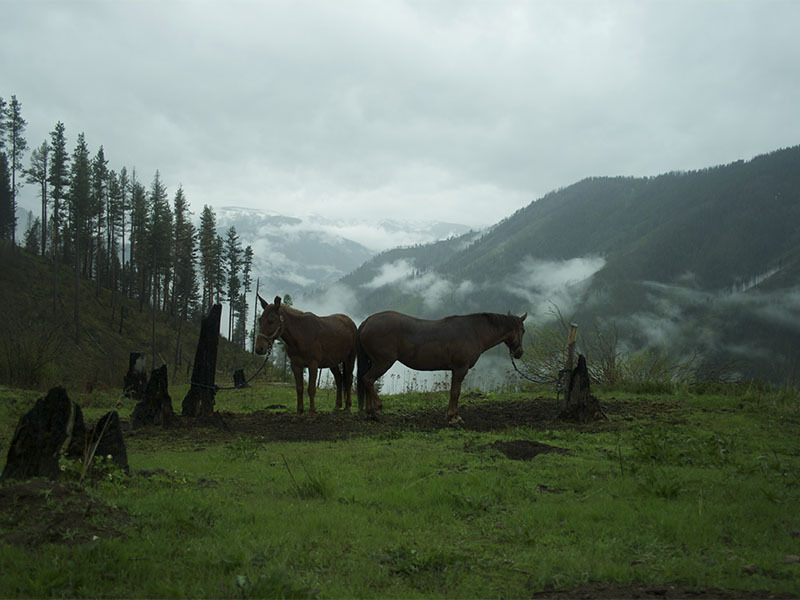 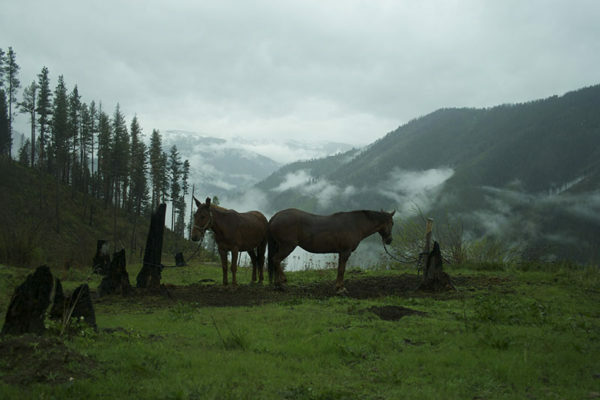 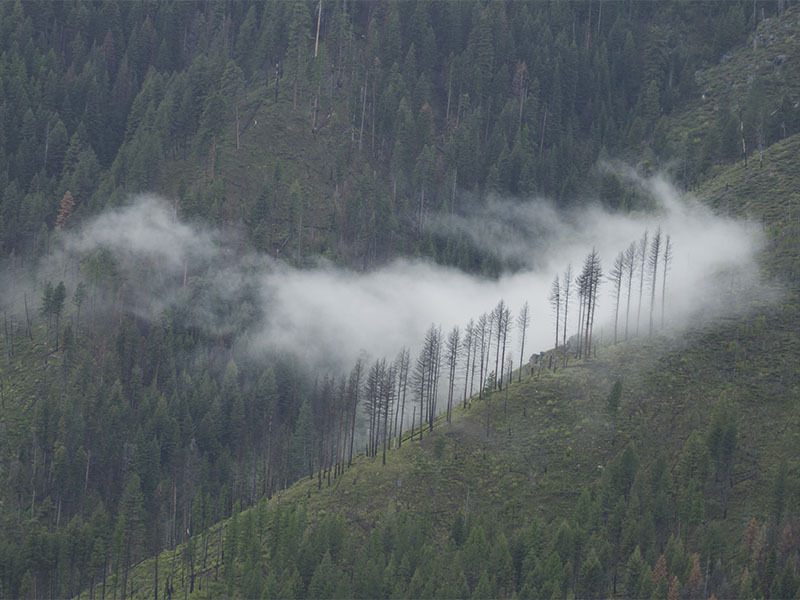 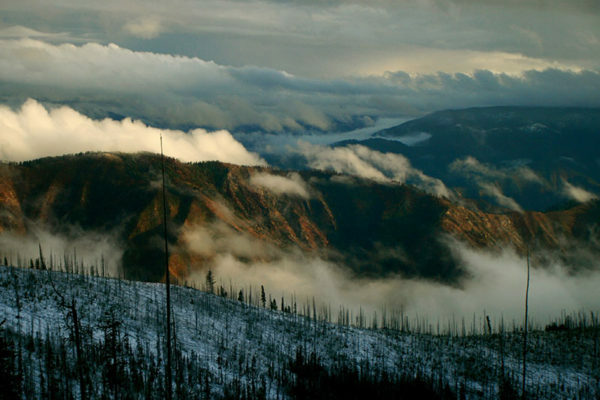 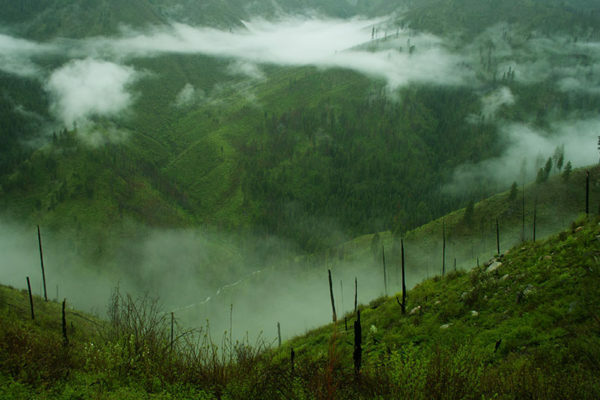 Mist settles in the valley in the remote Idaho wilderness. 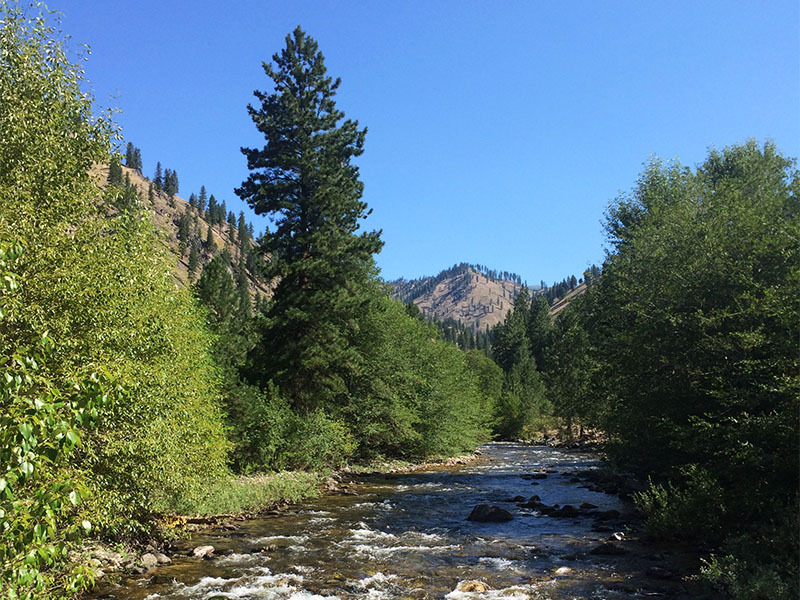 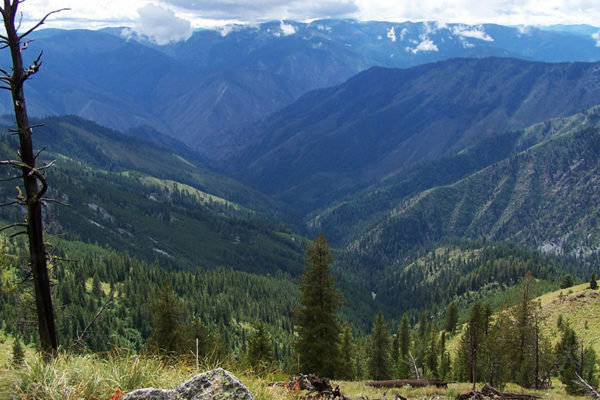 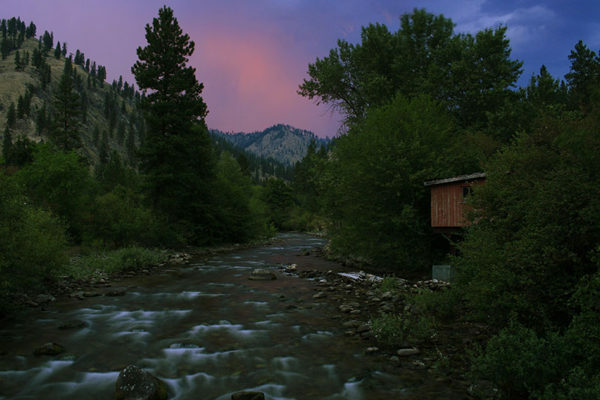 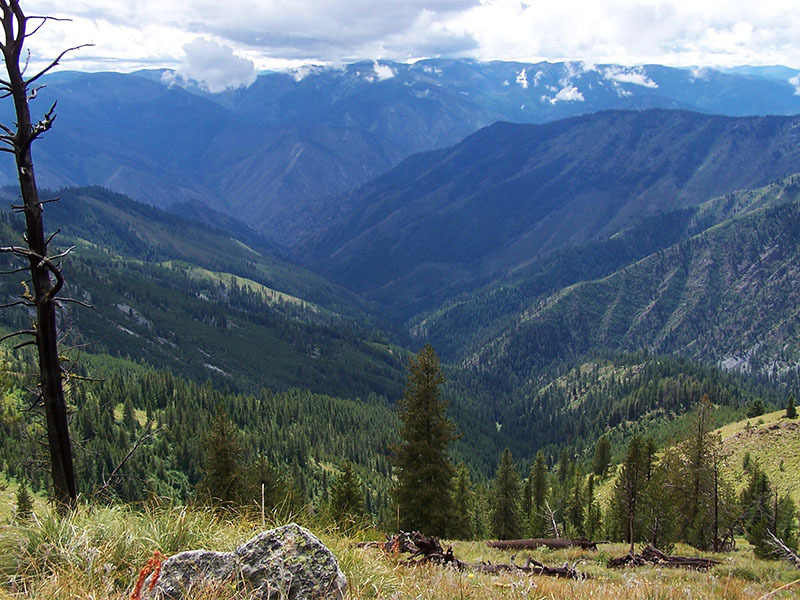 Breath-taking views from the Idaho wilderness. 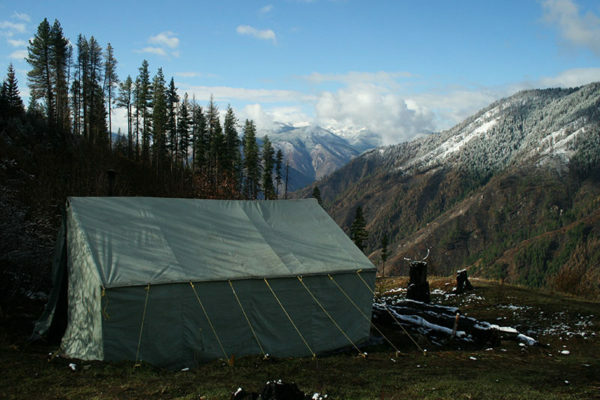 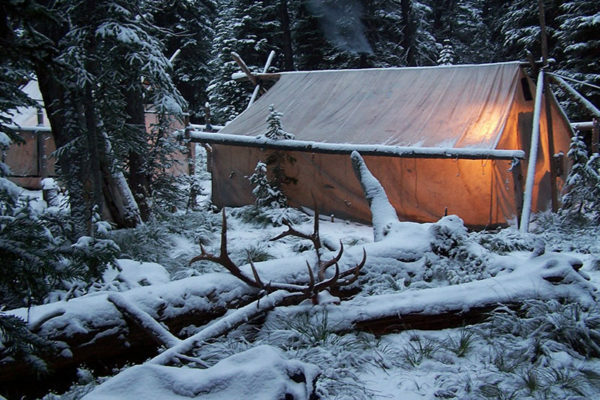 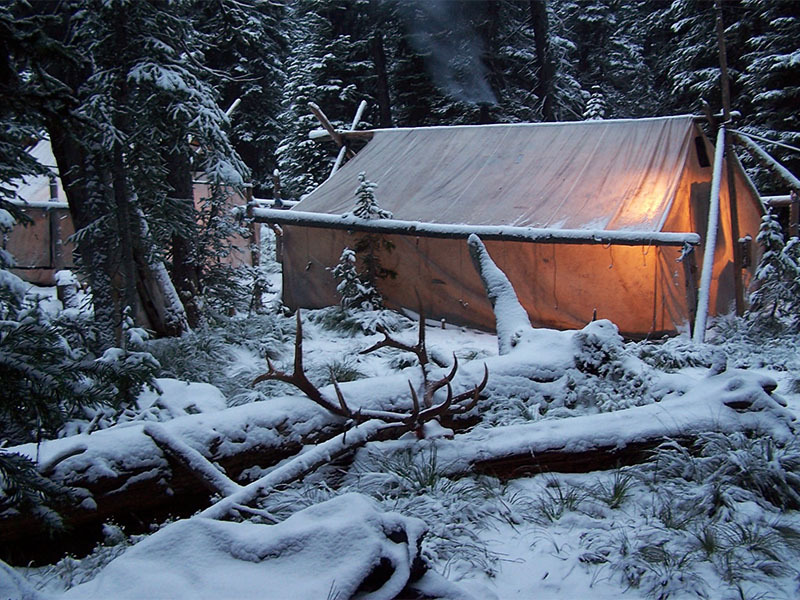 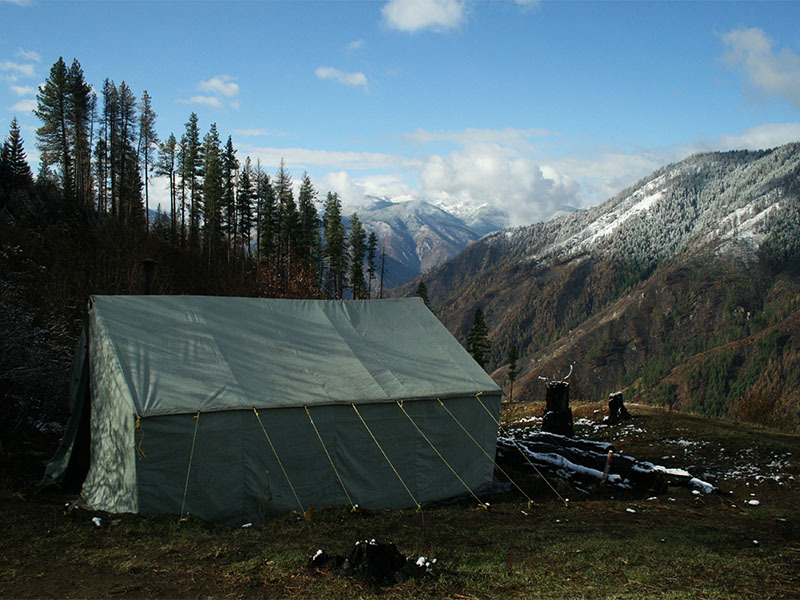 Hunting camp in the snow. 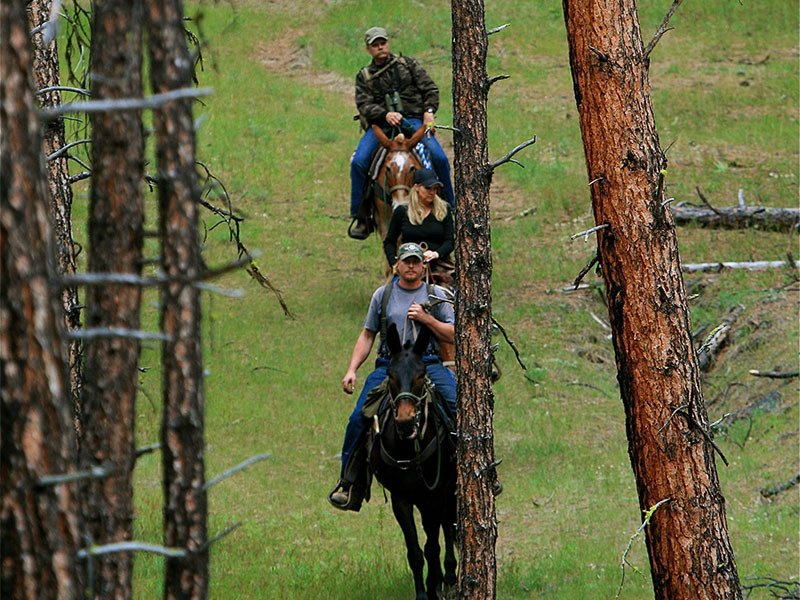 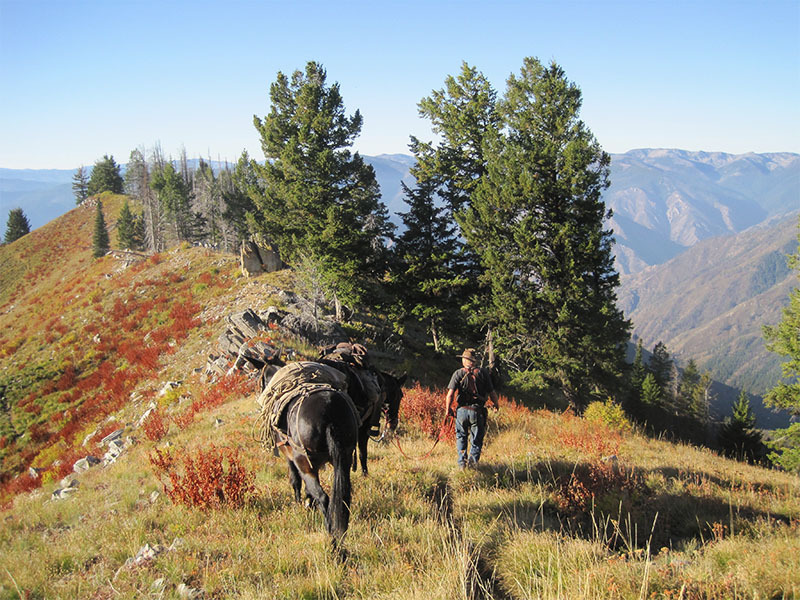 On the trail to hunting camp. 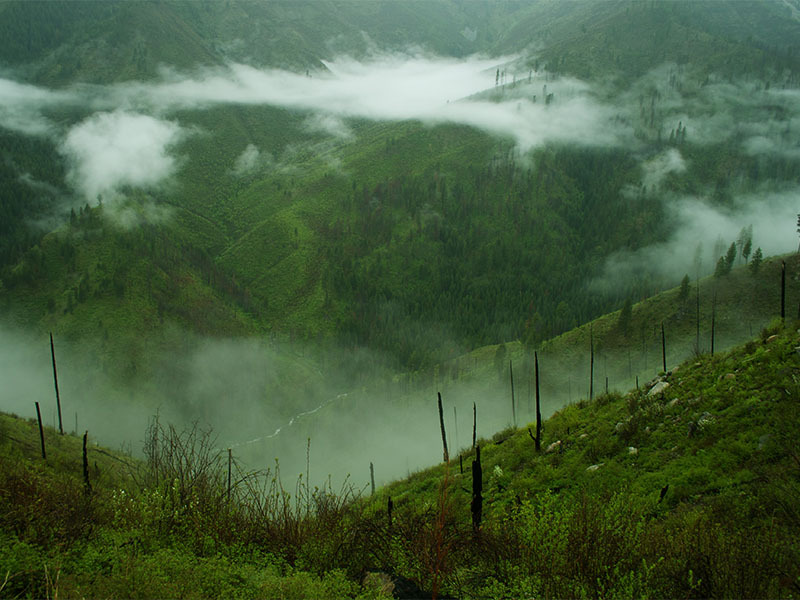 A single cloud clings to the steep hillside. 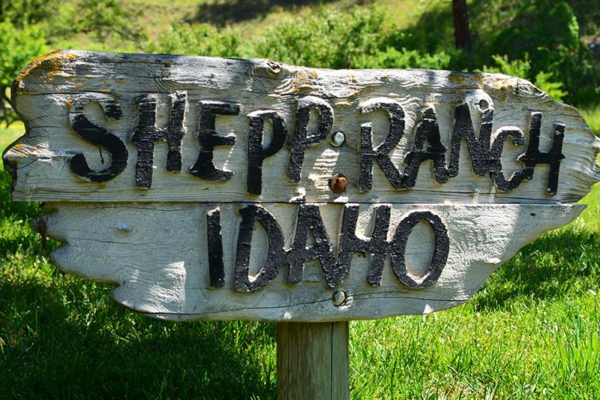 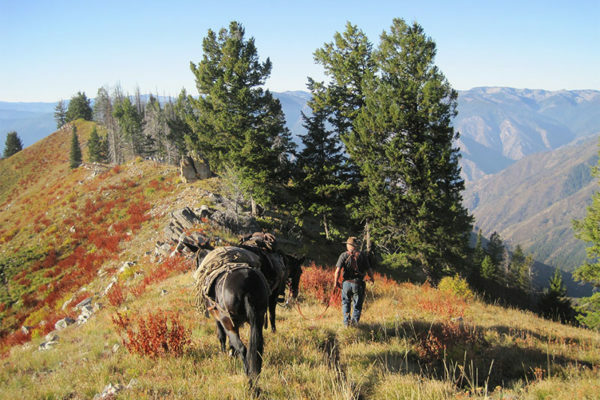 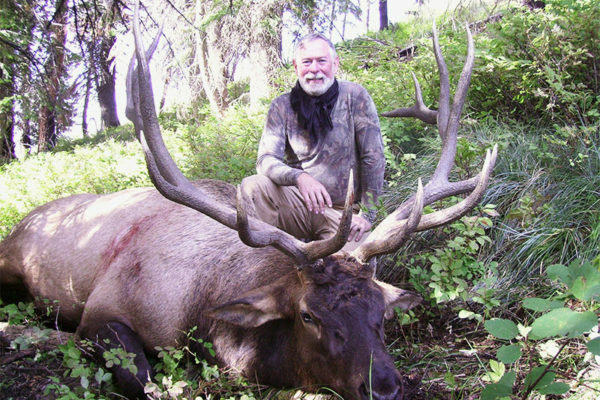 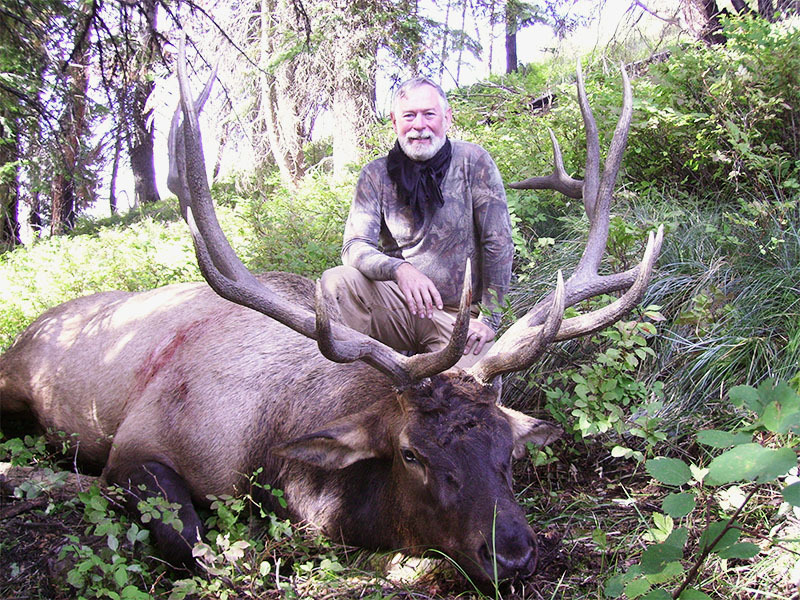 A rewarding September hunt at Shepp Ranch.